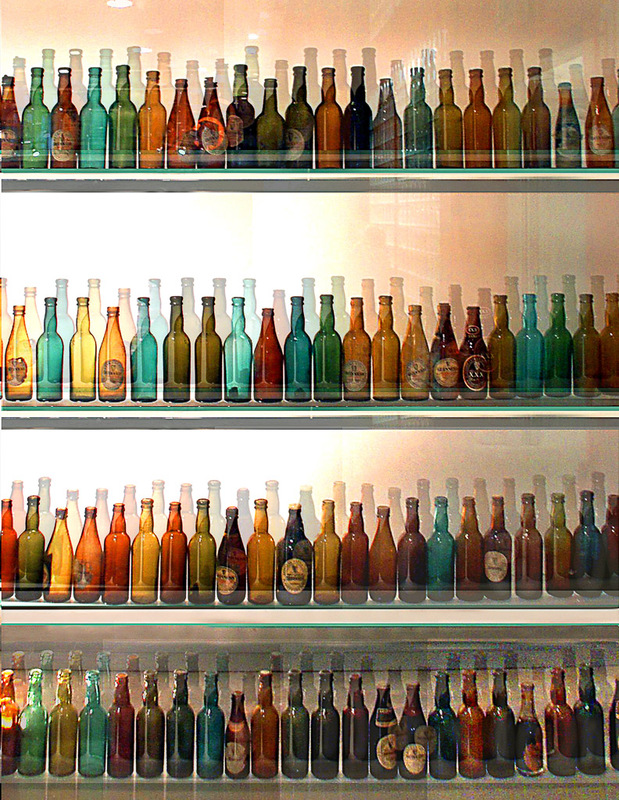 The history of Ireland's favorite beer is reflected in a colorful bottle collection at the Dublin factory. 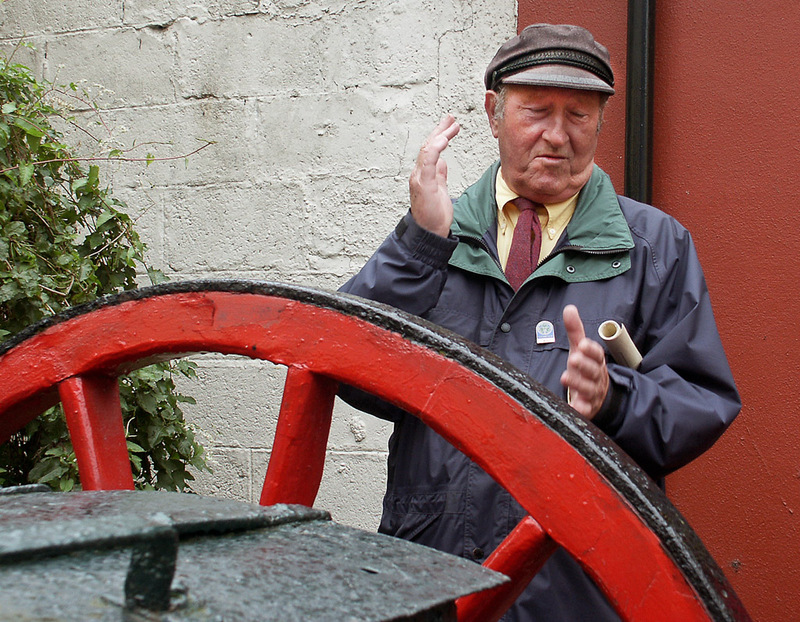 The Irish are famous for their story telling skills making Mr. Herlihy well suited for his job as a tour guide in Kinsale. 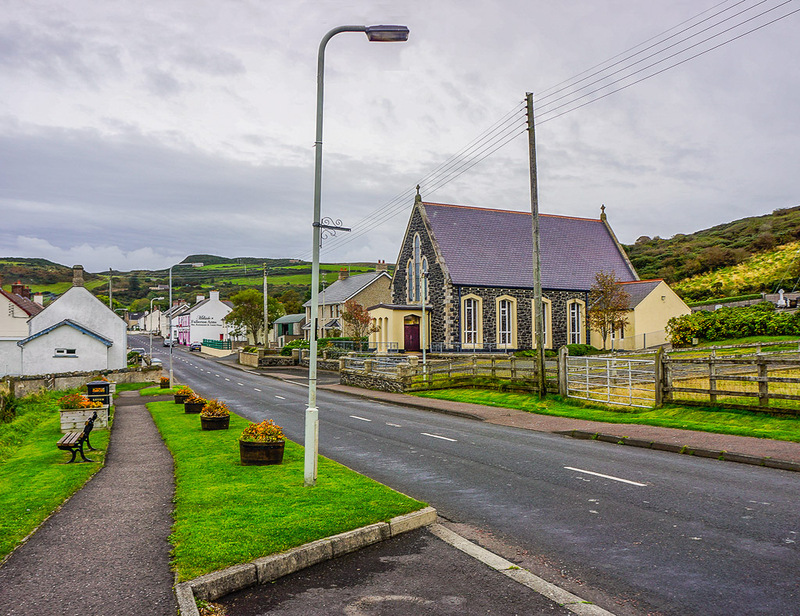 We see many small villages like this as we make our way to the Giant's Causeway. 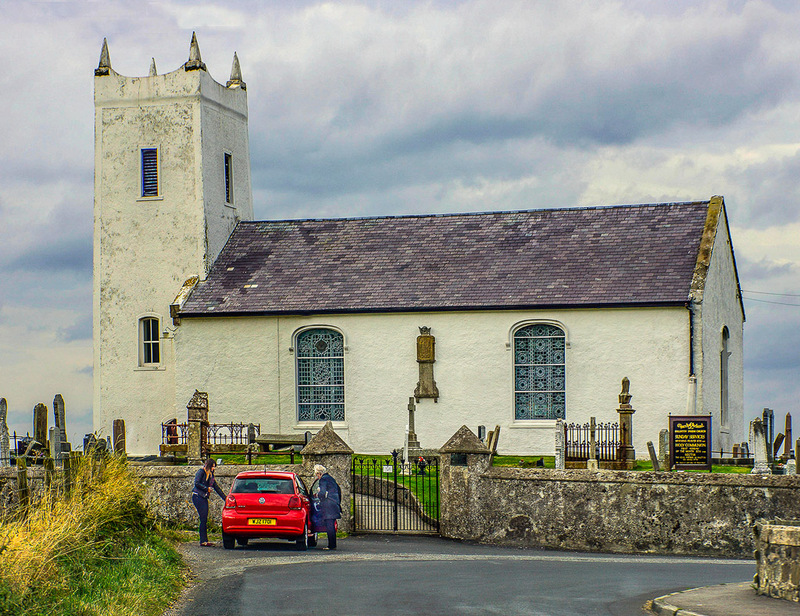 They came to to visit the grave of a loved one in the cemetary of this church. 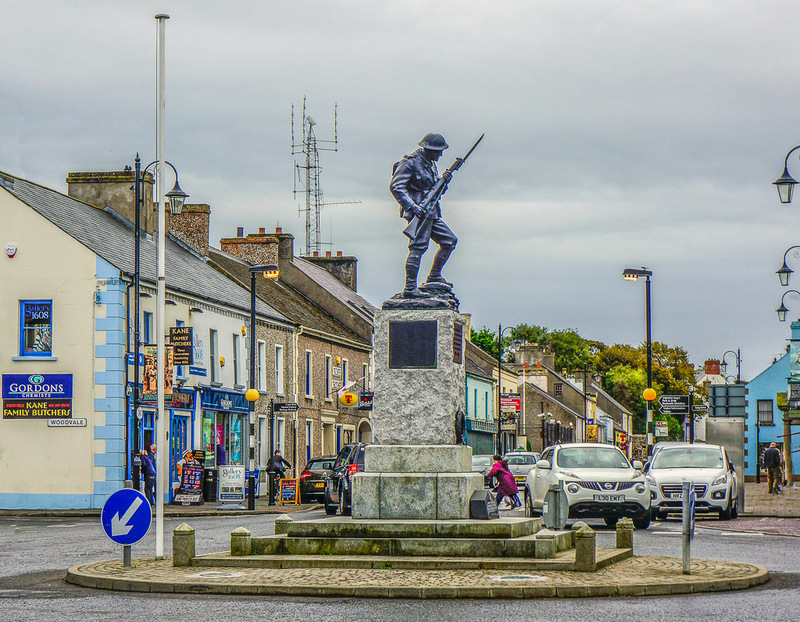 It's on the main road as you pass through a small village just outside of Bushmills. 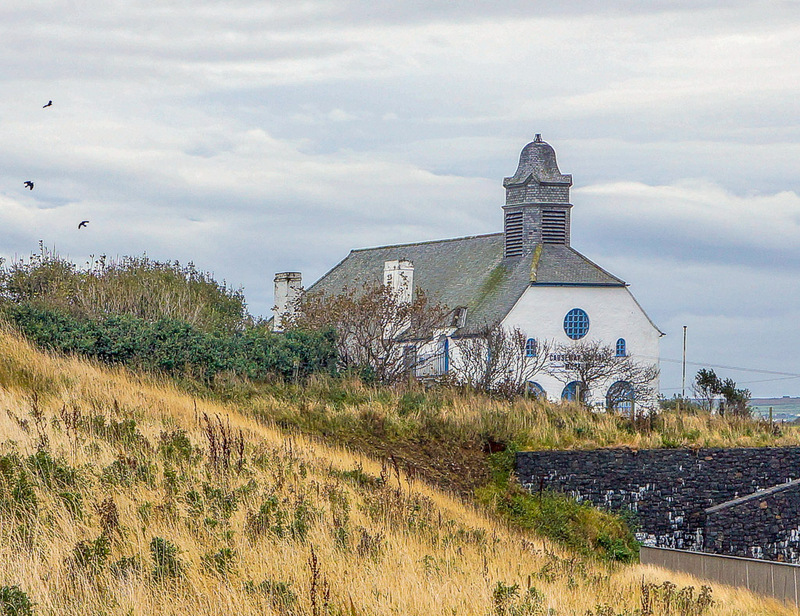 A view of a church situated at the entrance to the Giant's Causeway. 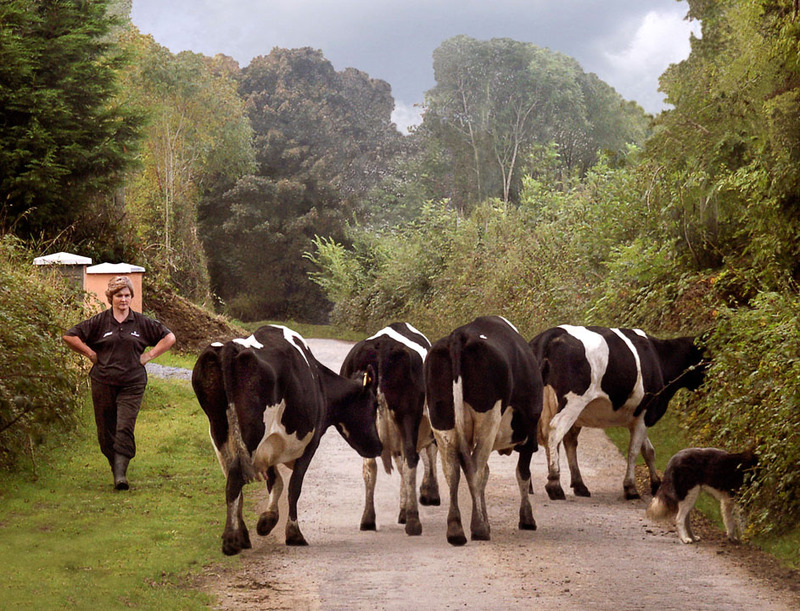 This country village is home to both people and to cows. 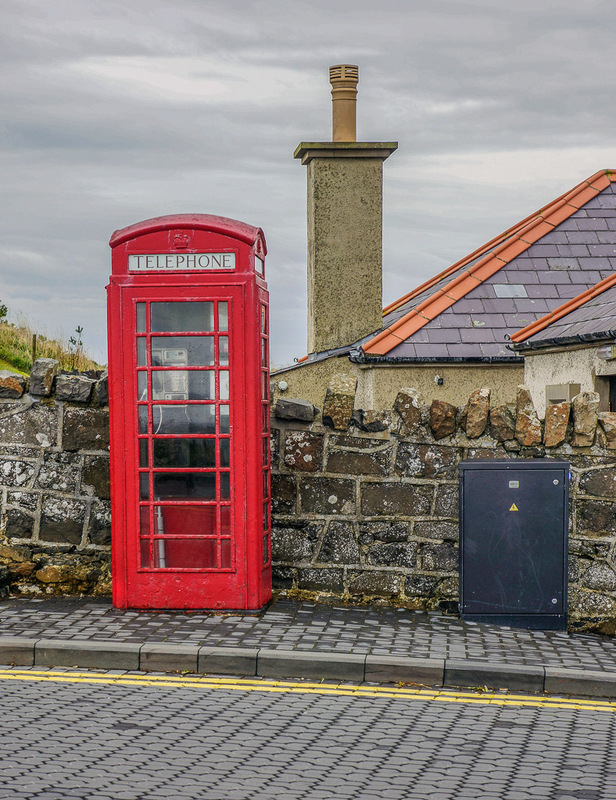 We still see many of these in the country villages of Ireland. 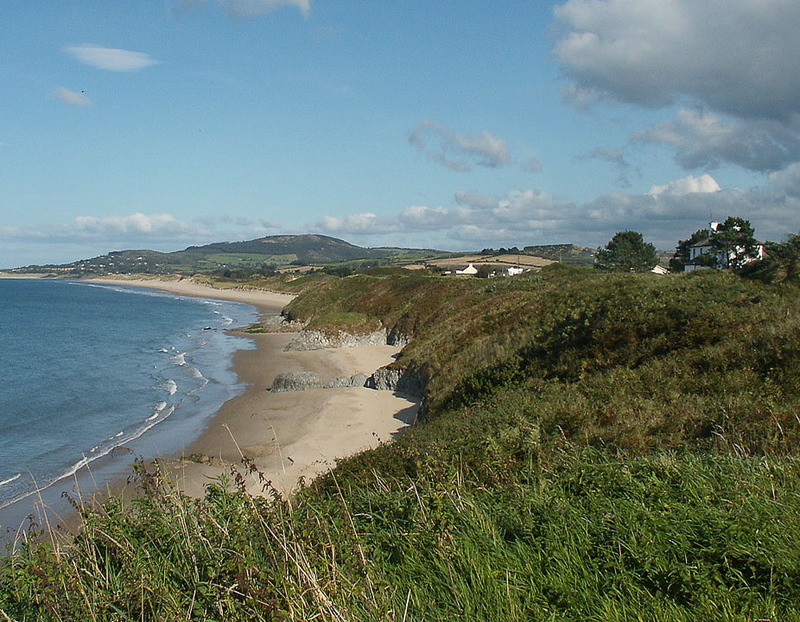 The fisherman is not at work today. 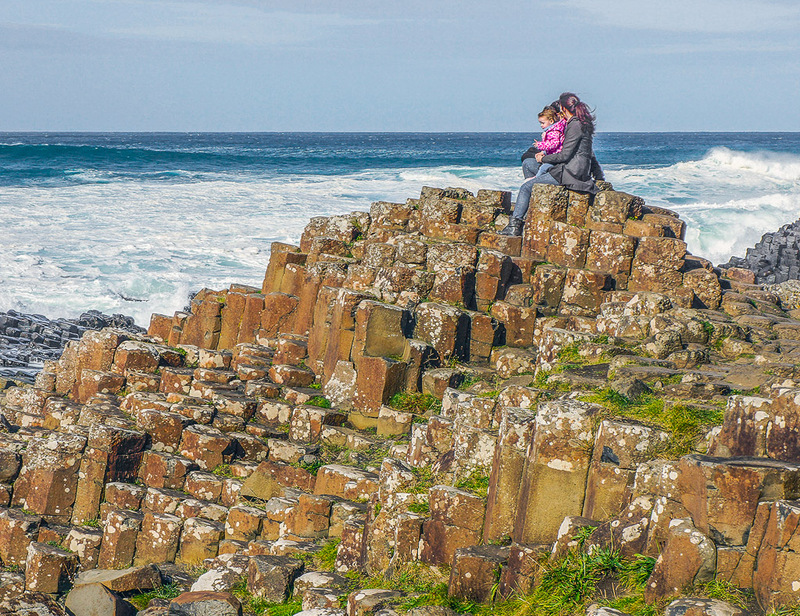 An area of about 40,000 interlocking basalt columns formed by an ancient volcanic eruption. 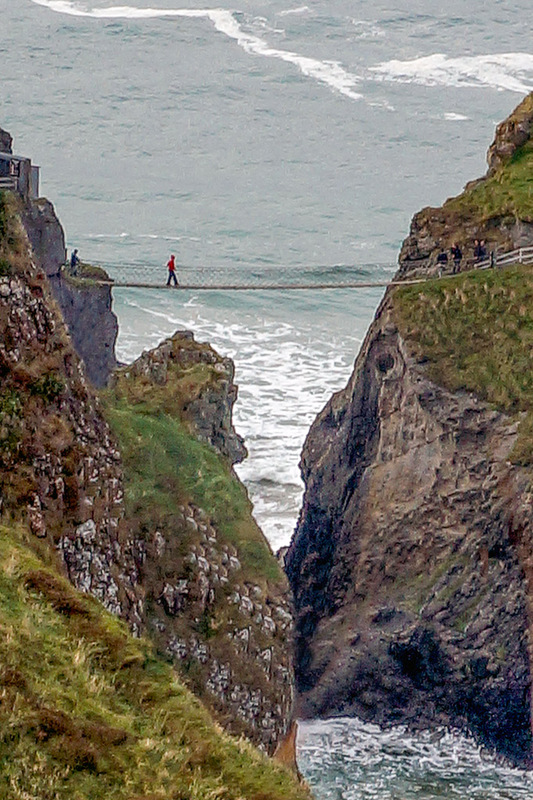 100 ft above the sea and 1st erected by fishermen over 160 yrs ago. 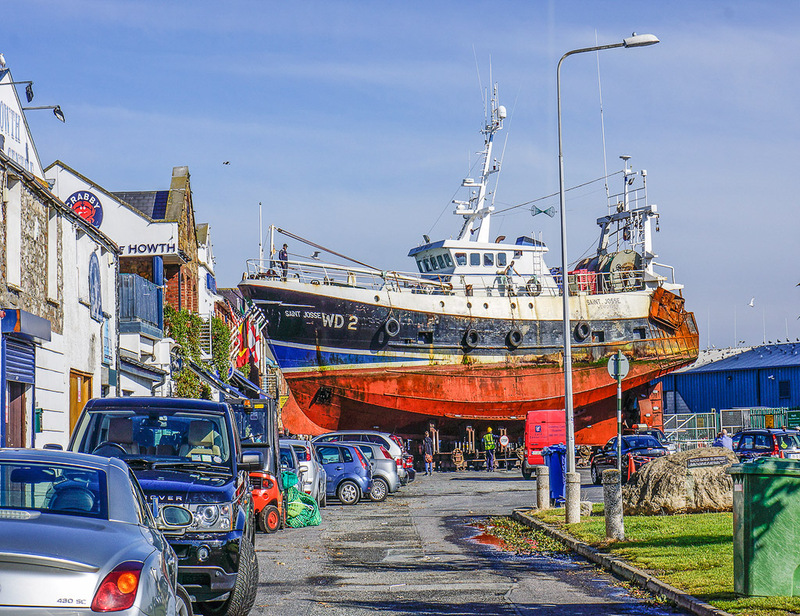 The boat will get some repairs on the outskirts of Dublin. 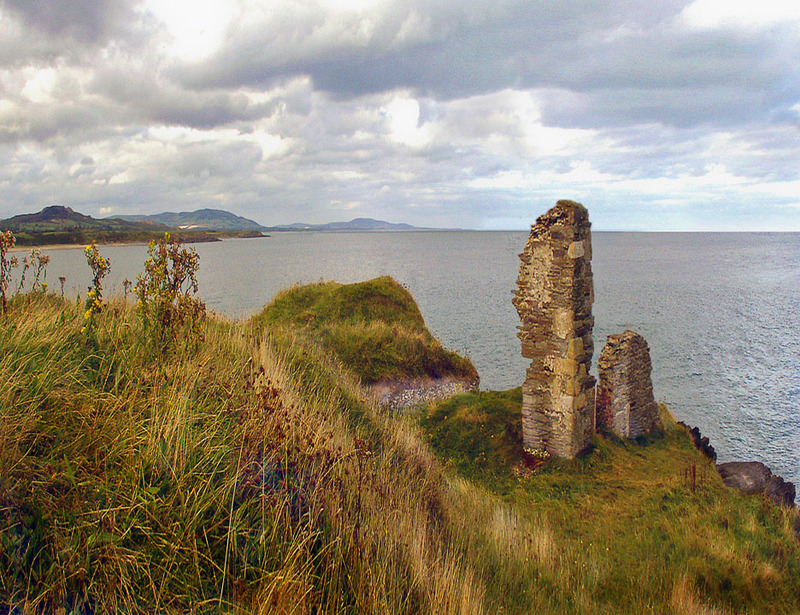 12th & 13th century seat of kings before the Norman invasion. 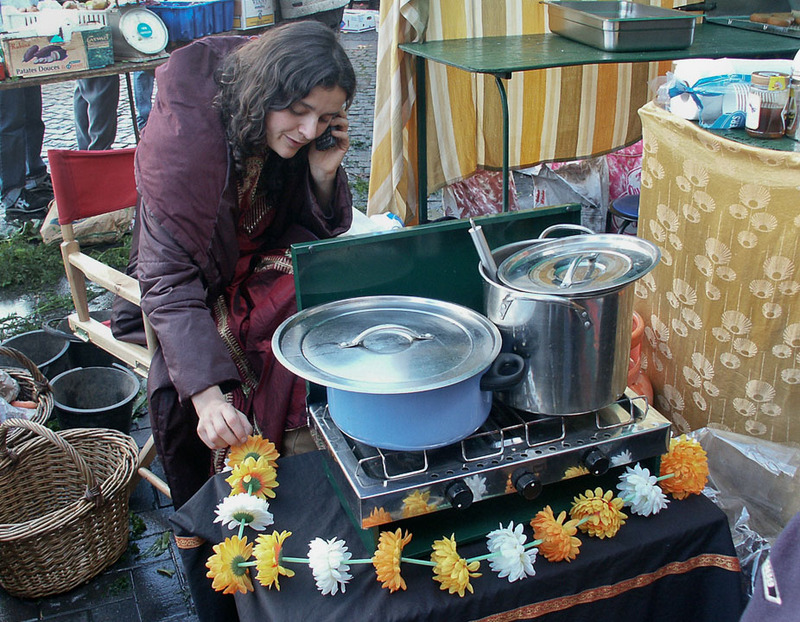 Local legend says the kitchen collapsed into the taking a number of servents with it. 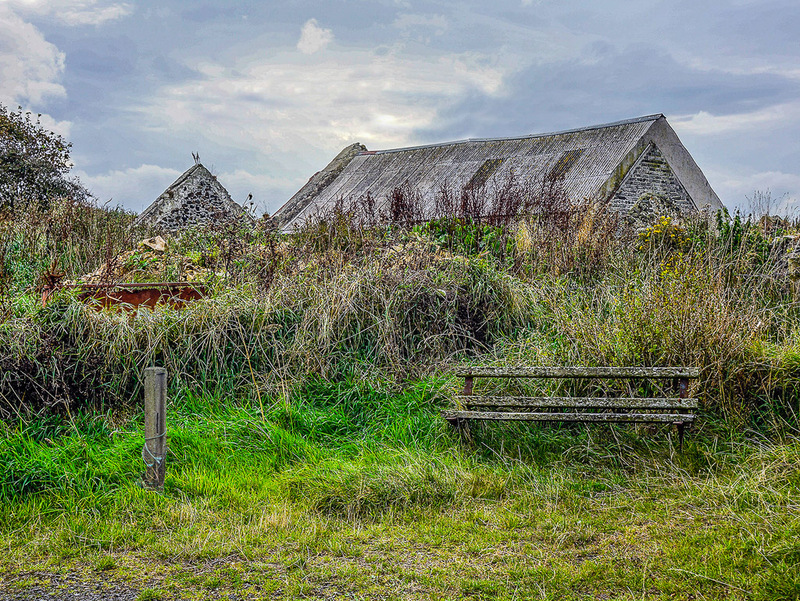 Like many family farms in Ireland it has been abandoned by the current generation. 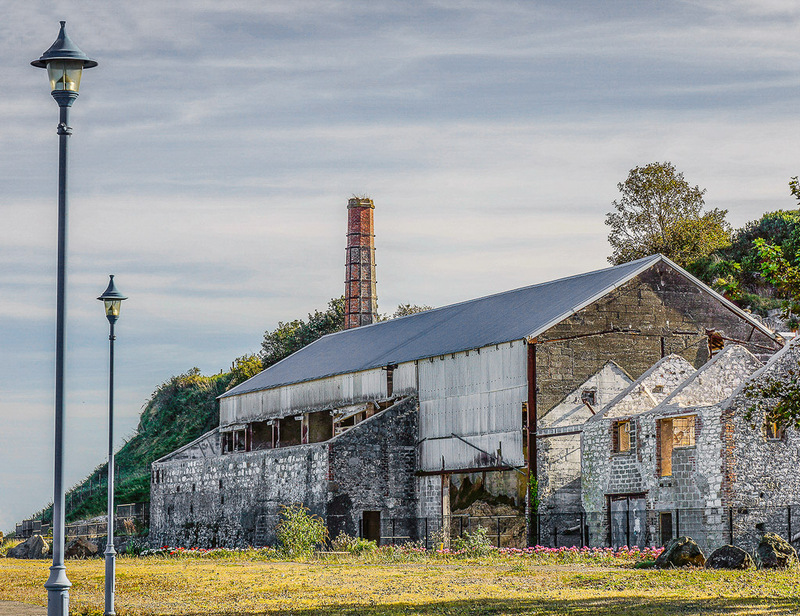 This old building is no longer needed so has been left to decay. 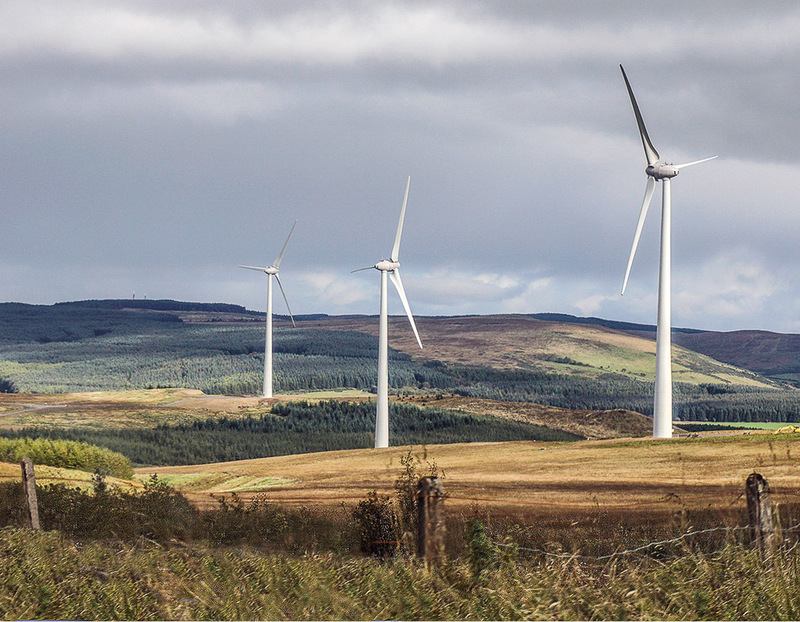 The wind turbines are a sight that is seen more and more all over Europe. 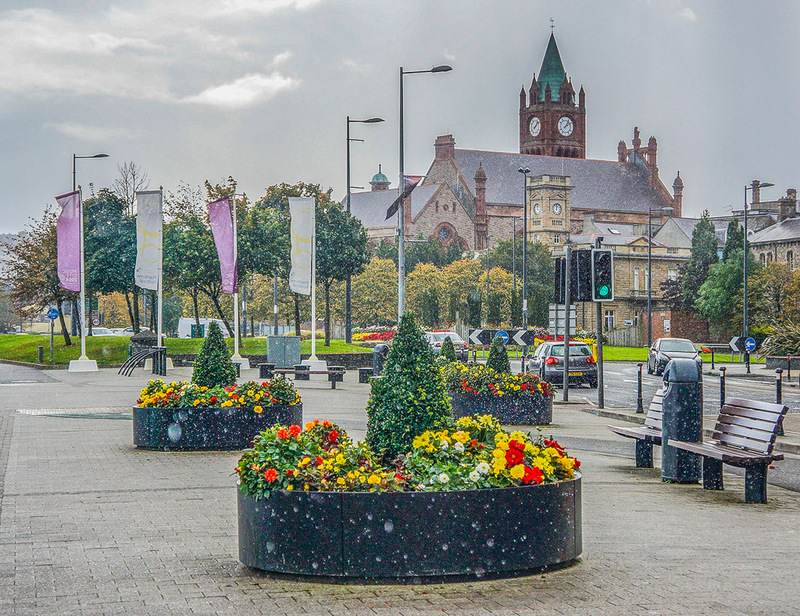 A small town on the outskirts of all the hustle and bustle of Belfast. 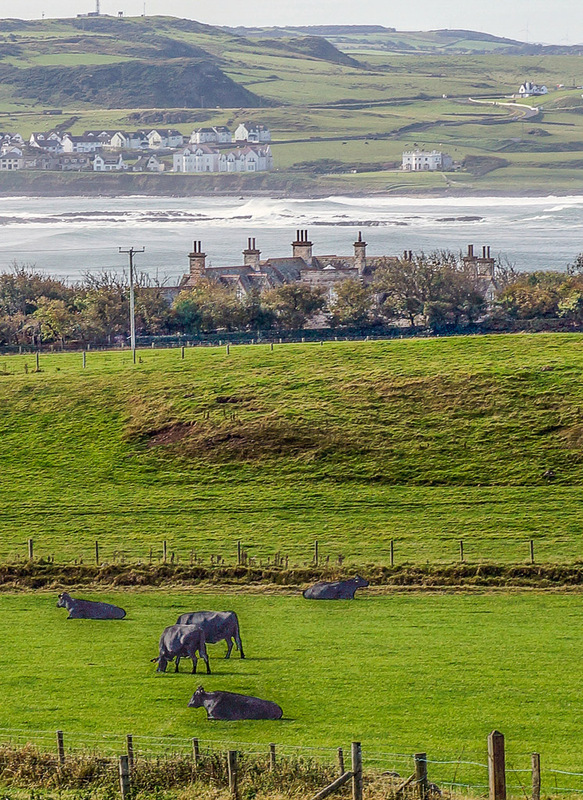 A beautiful and peaceful scene as we are approaching Bushmills. 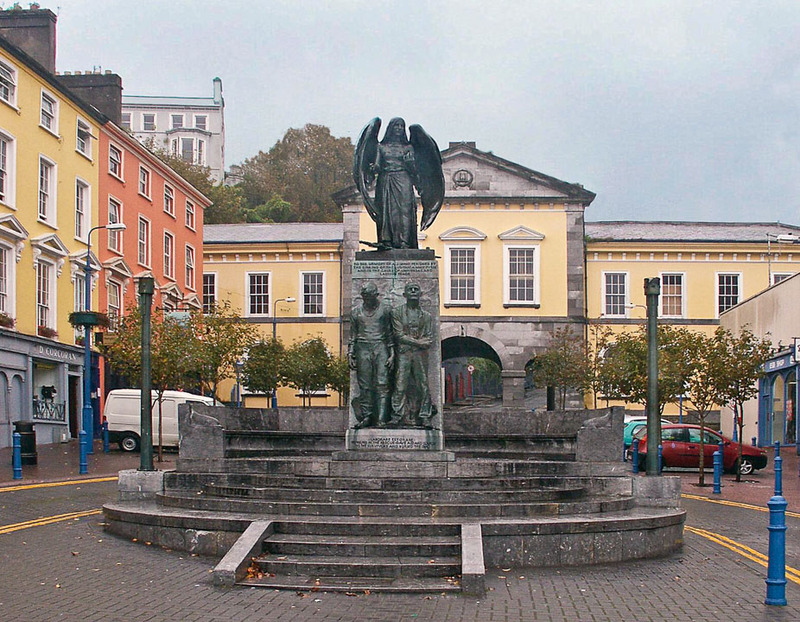 The town is famous for the Irish whiskey named after it that is made here. 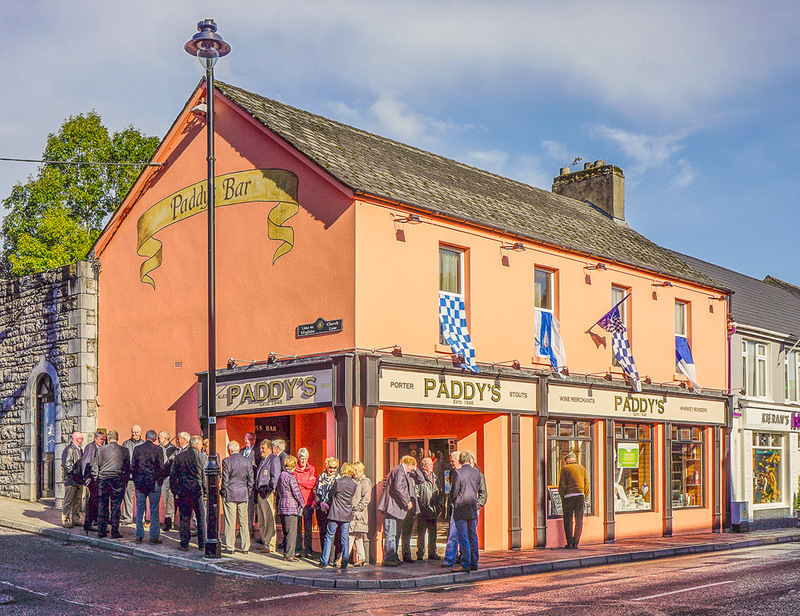 Take the tour and get treated to a taste of the famous Irish whiskey. 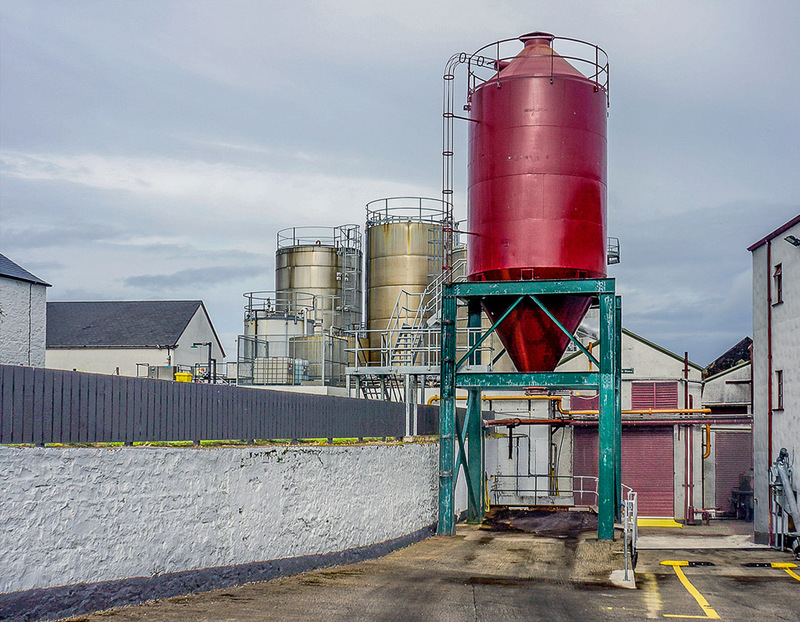 The distillery was established in 1784 and has suffered both lean and boom years since. 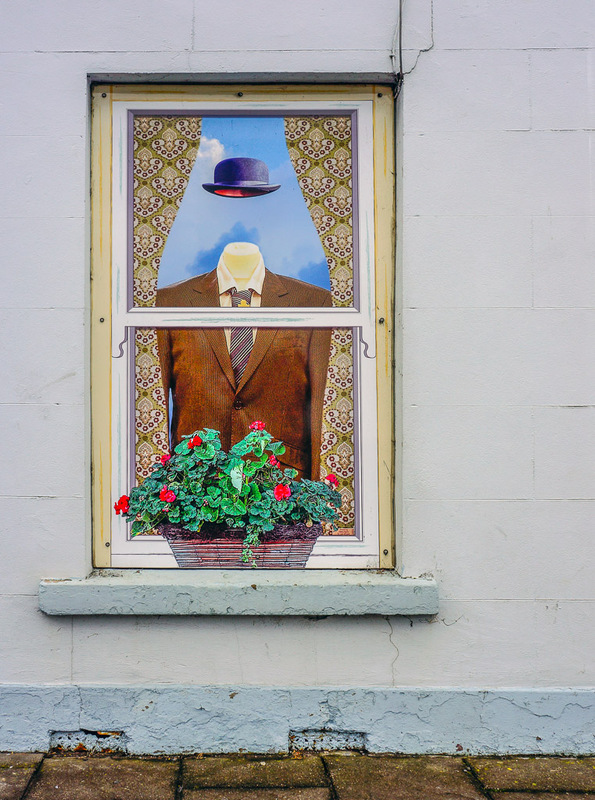 The town has many unusual painted windows both real and faux. 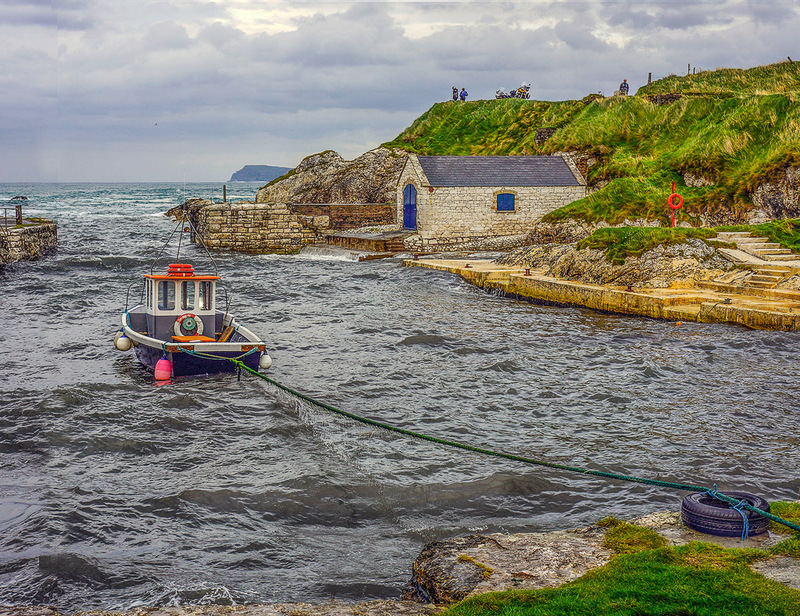 A windswept fishing village is a quiet on Sunday but offers good food and drink. 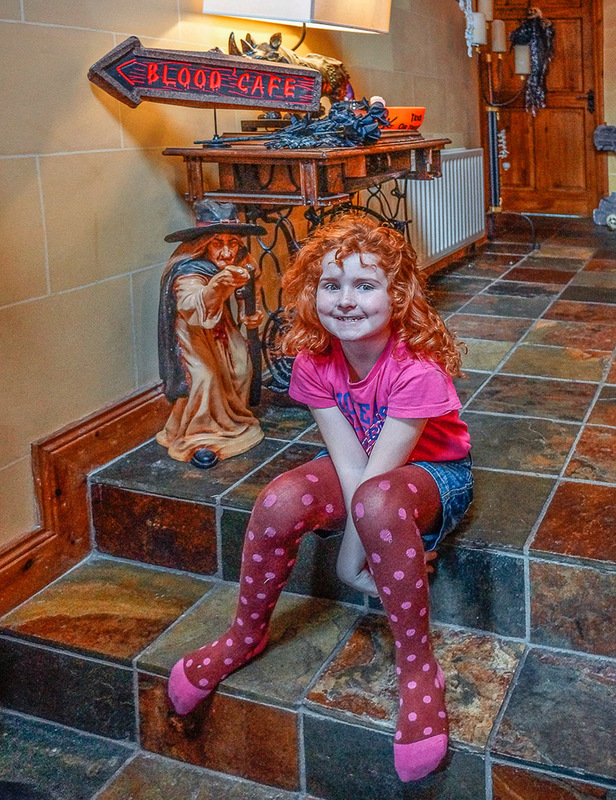 A B&B run by a couple who with their children start celebrating Halloween early. 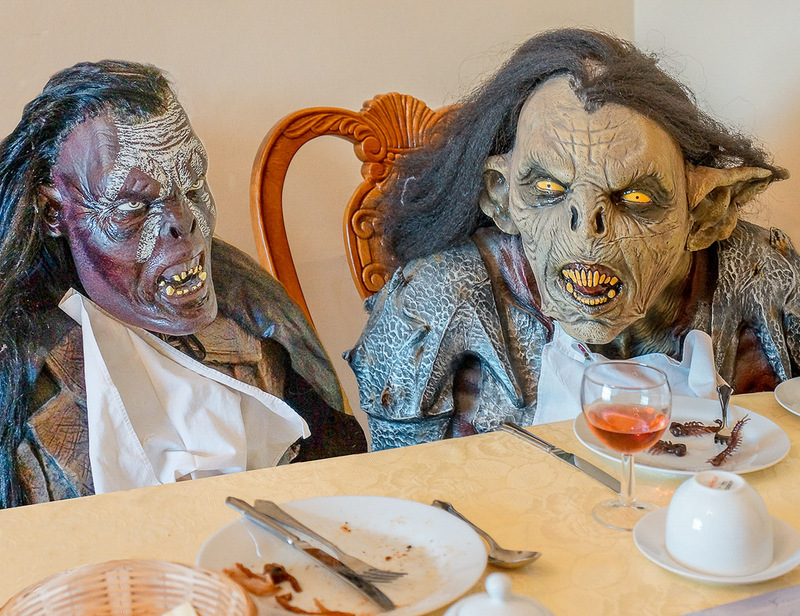 Two other guests join us at our table for breakfast at Rossmore Manor. 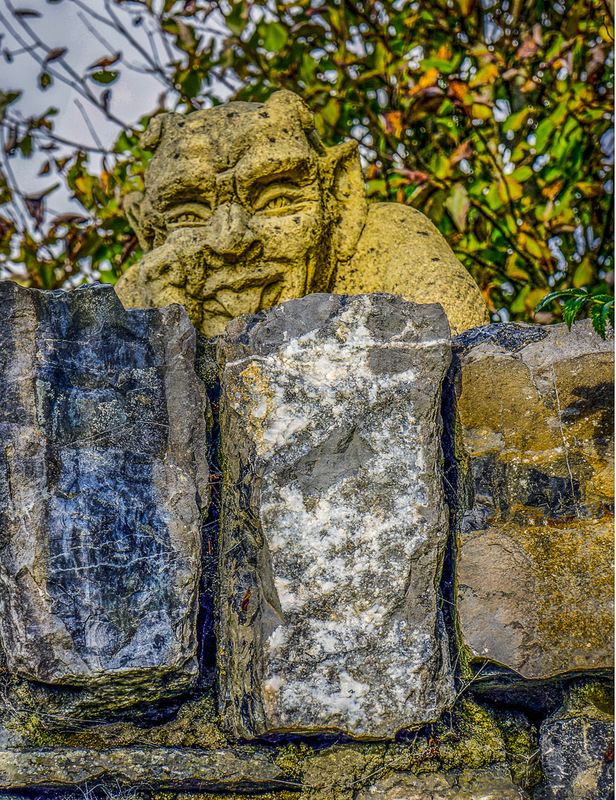 There are permanent monsters at Rossmore as well as those on display for Halloween. 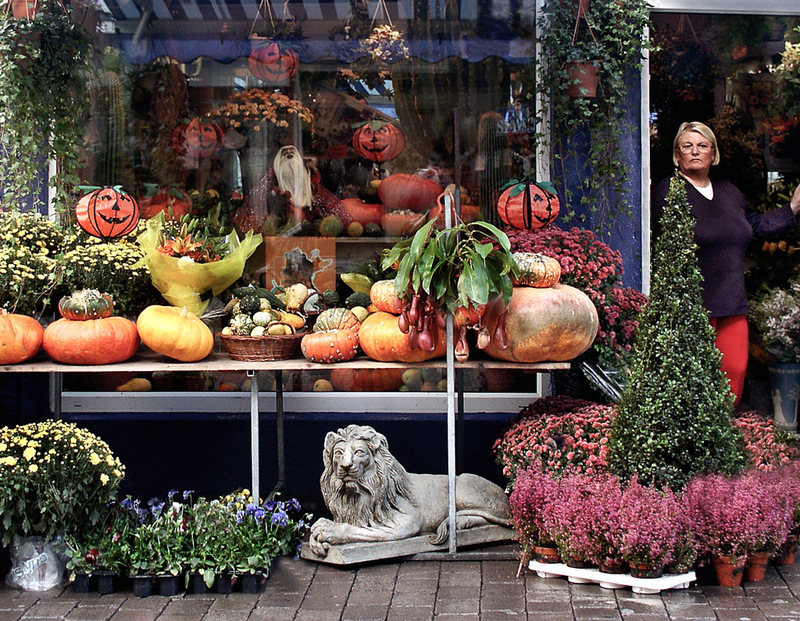 This red headed colleen is very excited about Halloween being 3 weeks away. 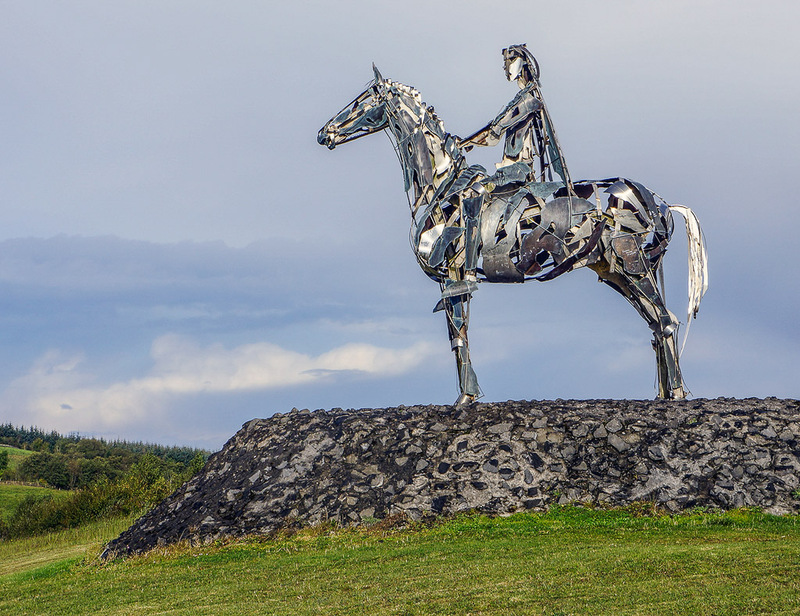 We see this road side statue on our way into Londonderry. 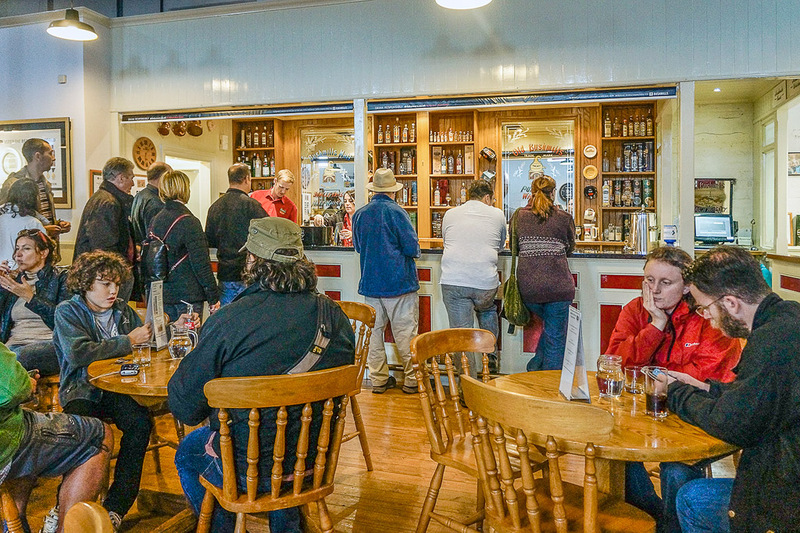 Morners gather at the local bar for food and drink after the service. 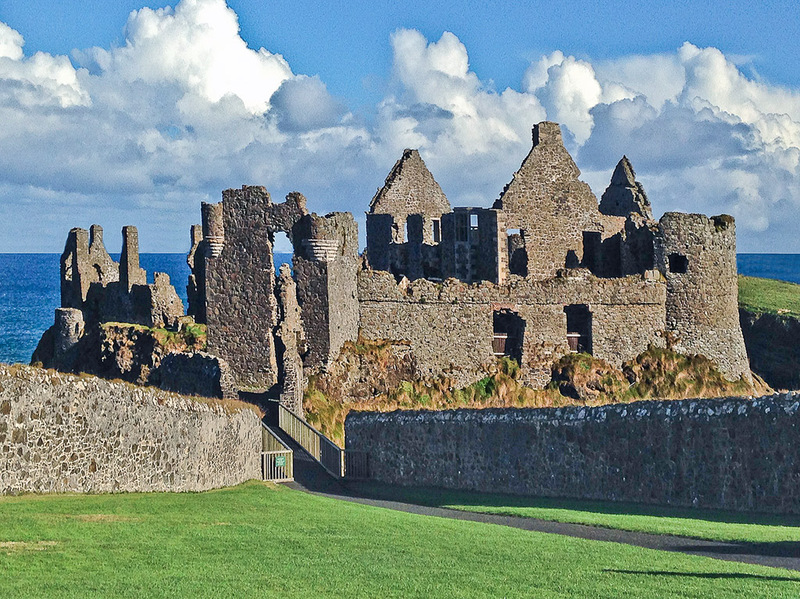 The only remaining completely walled Irish city is also it's 4th largest. 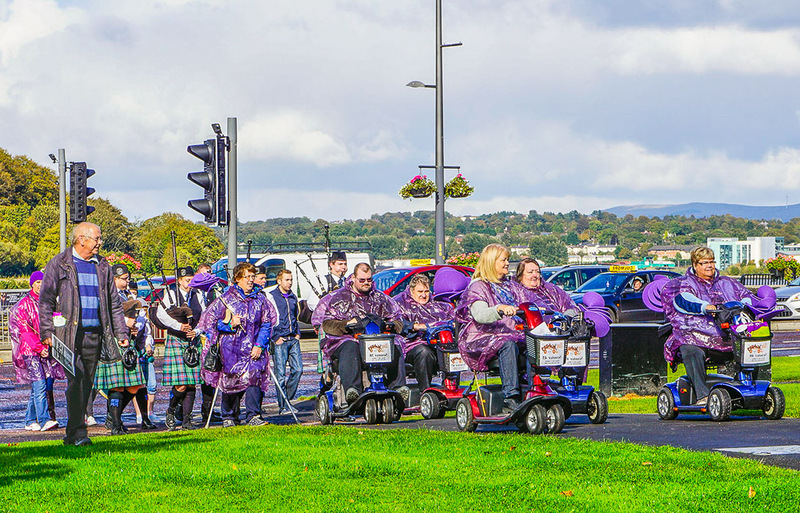 Londonderry is holding an event for the handicapped this Sunday afternoon. 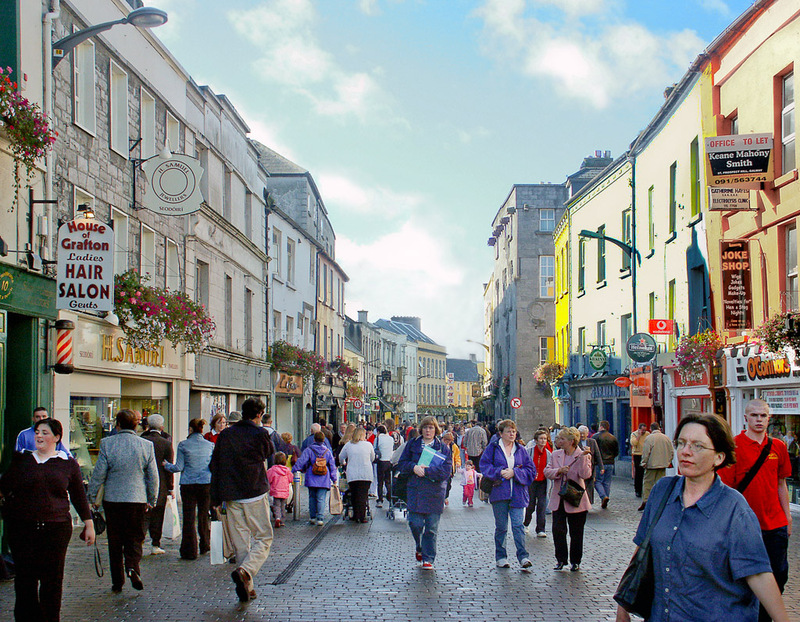 A great opportunity for shopping and people watching. 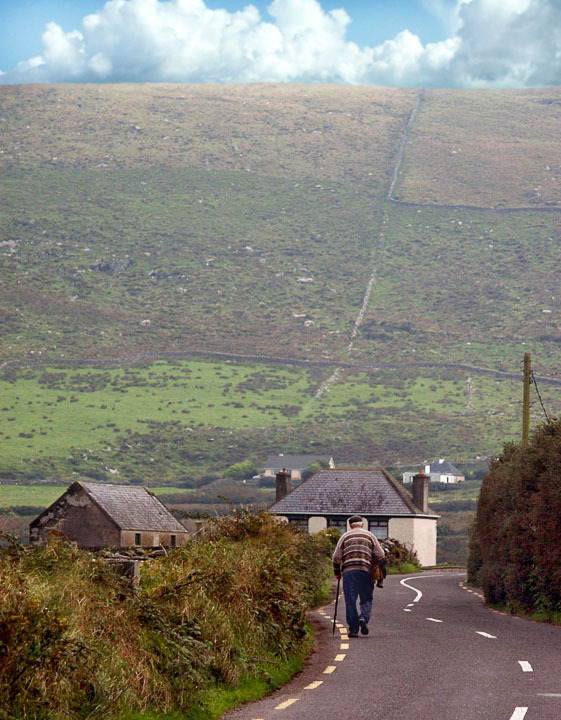 The pass runs from Dingle in the south to Brandon Bay and Castlegregory in the north. 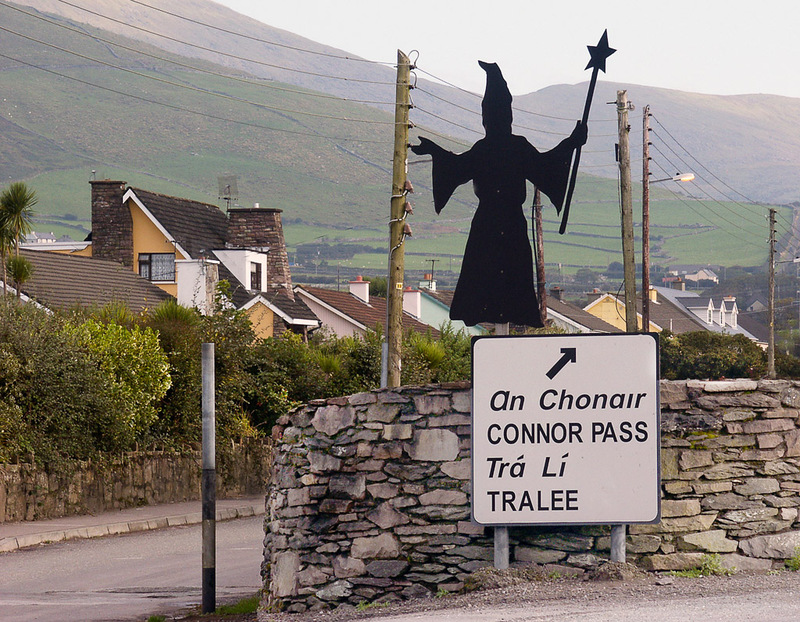 An interesting road sign points the way to Connor Pass which cuts across the rugged Irish peninsula. 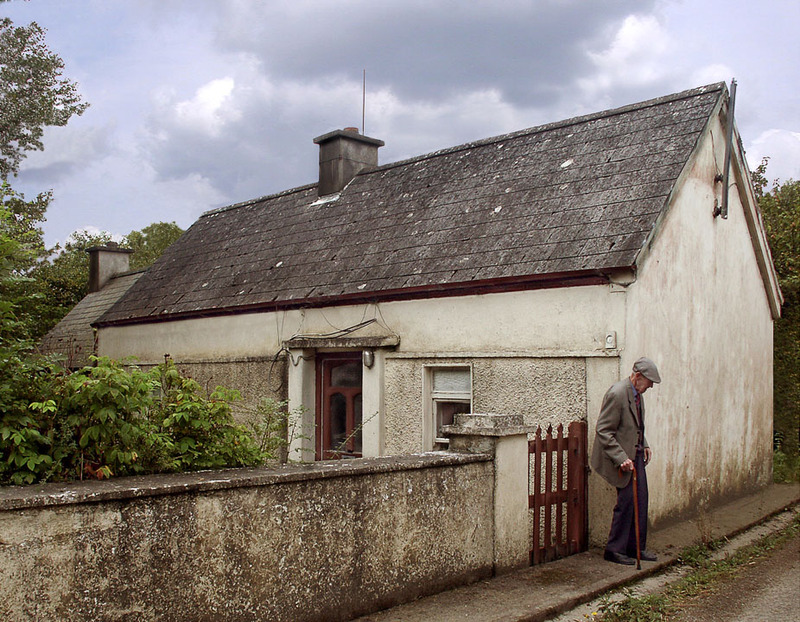 The Foley house in Freshford was home to my husband's mother, her parents and ten siblings in the early 1900's. 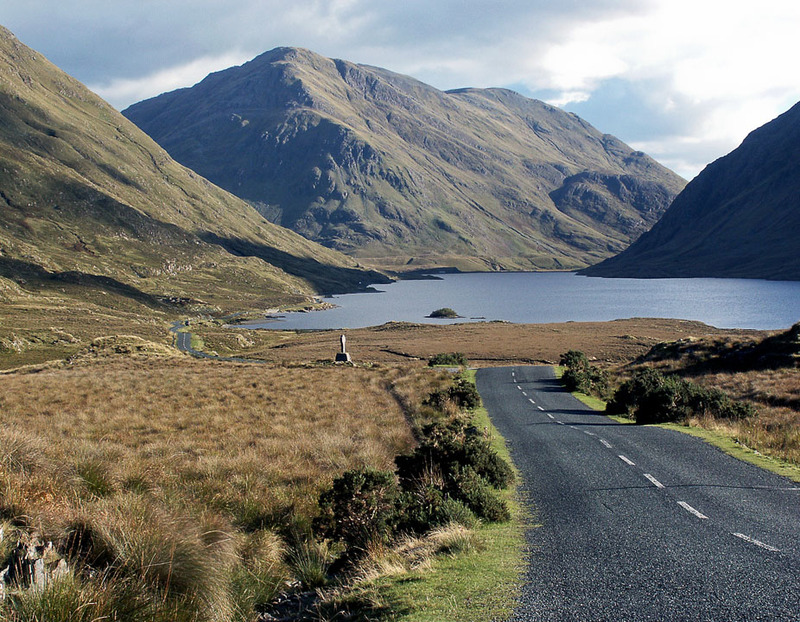 Ireland's highest mountain pass is a precarious road weaving around sharp cliffs and high lakes. 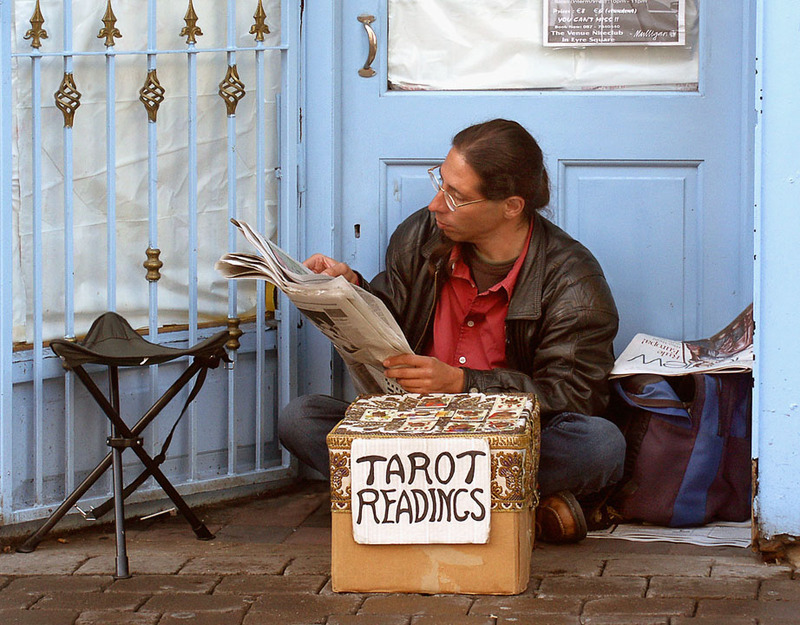 The Taro card reader in Galway takes some time off to read his newspaper instead of his cards. 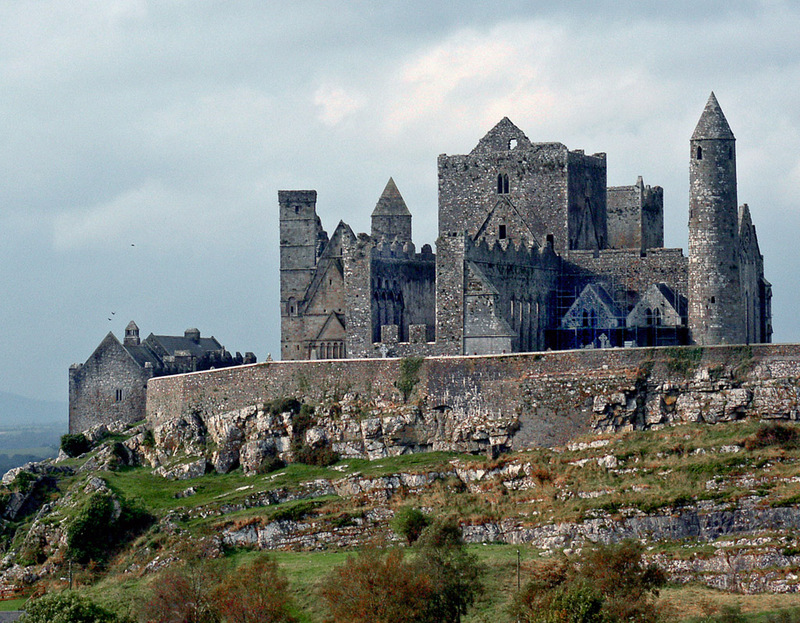 St. Patrick's mount on the left was a pilgrimage site well before the arrival of Christianity. 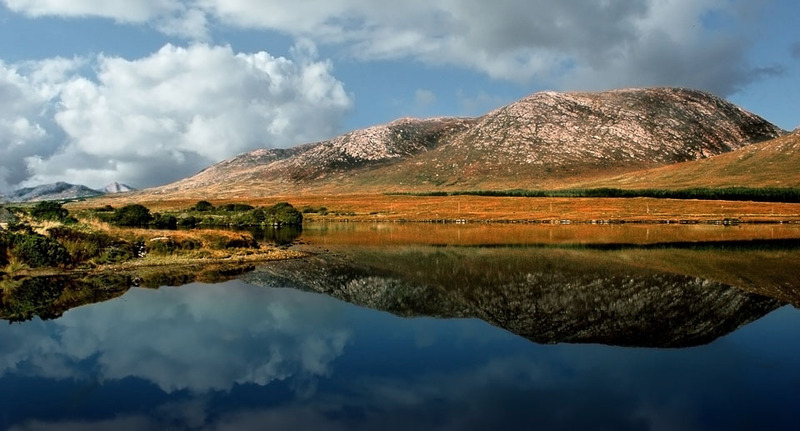 The awesome Connemara is described as being Ireland's wild west. 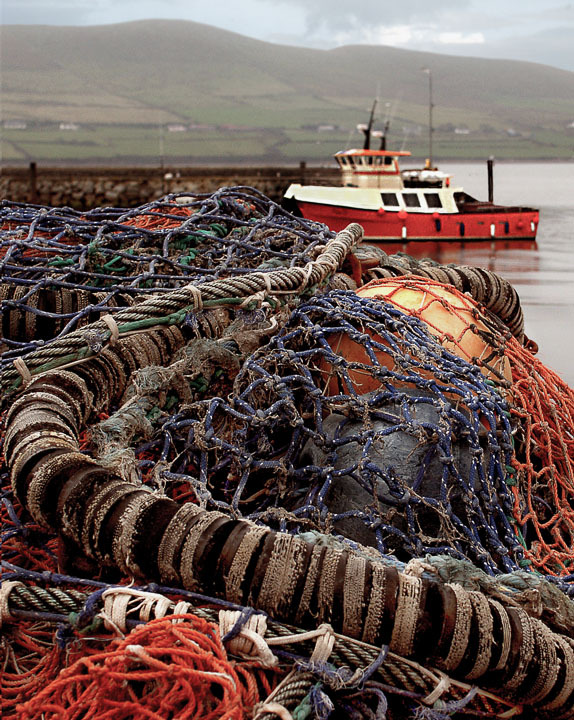 The boats sit quietly among piles of nets and ropes on the fishermen's day of rest. 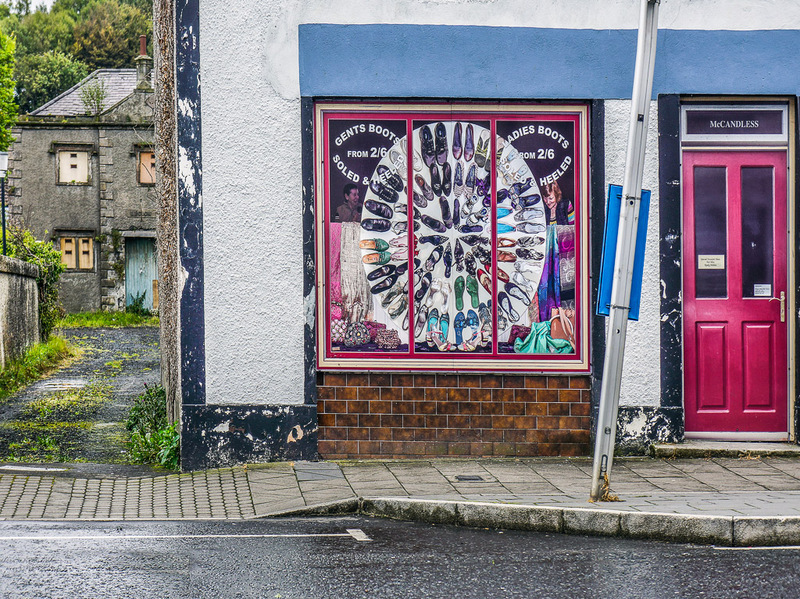 A Galway florist and her stone lion share a similar stern countenance. 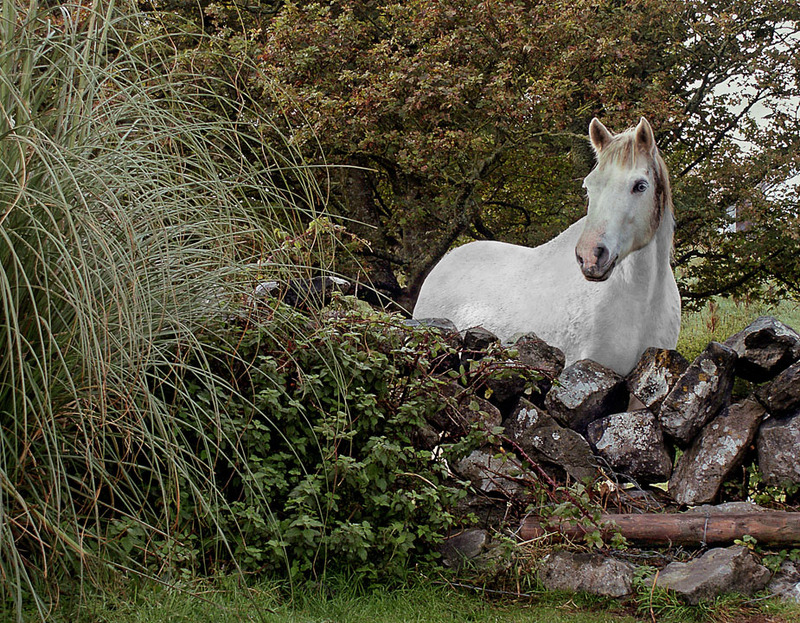 A friendly white horse that was encountered by Dunguaire Castle in Kinverra. 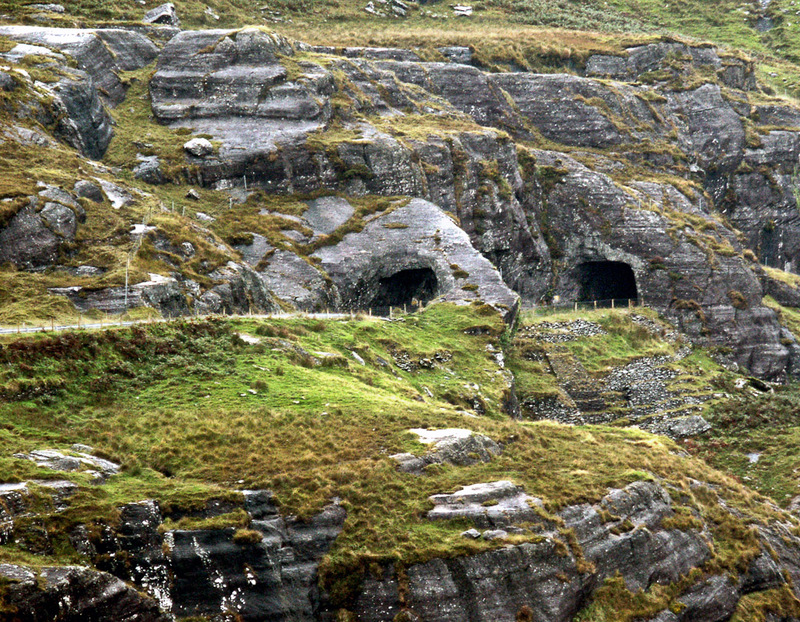 When traveling by car on the narrow roads in the Irish country side there are often delays such as this. 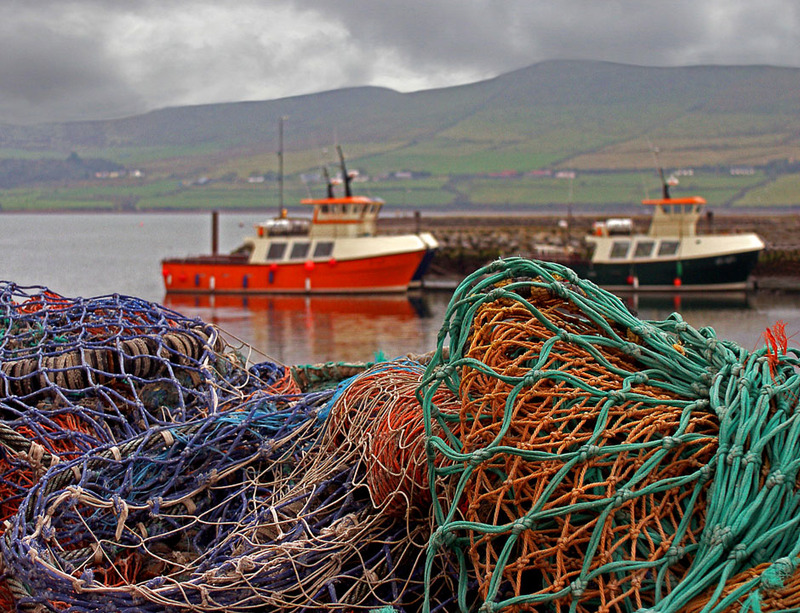 Dingle is well known for it's lively pub music and colorful fishing harbor. 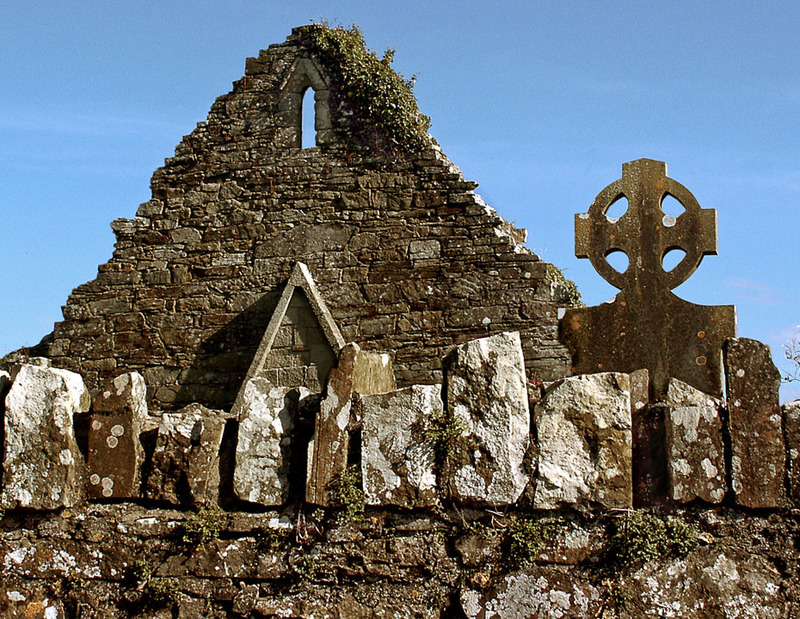 Ruins like these in County Carlow tell us of Ireland's early religious history. 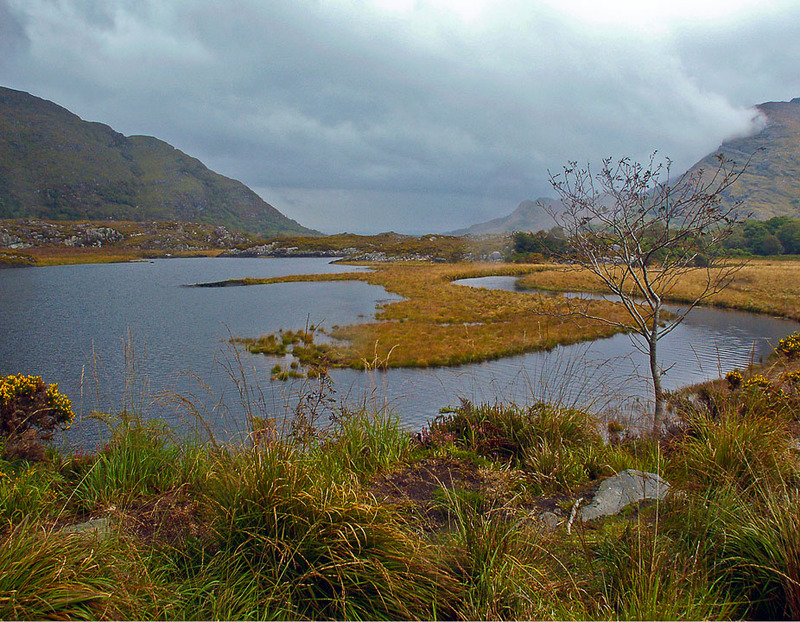 A walk in the Connemara can take your breath away in more ways than one. 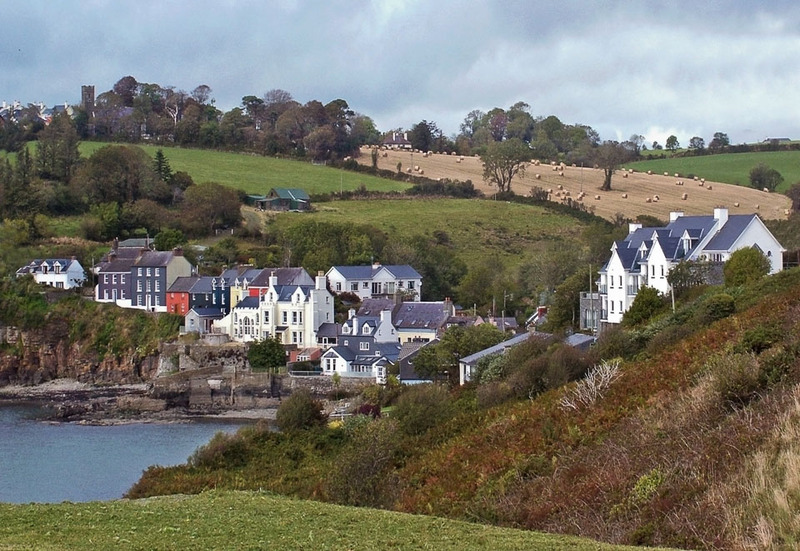 The beautiful town of Kinsale is often called the Sausalito of Ireland. 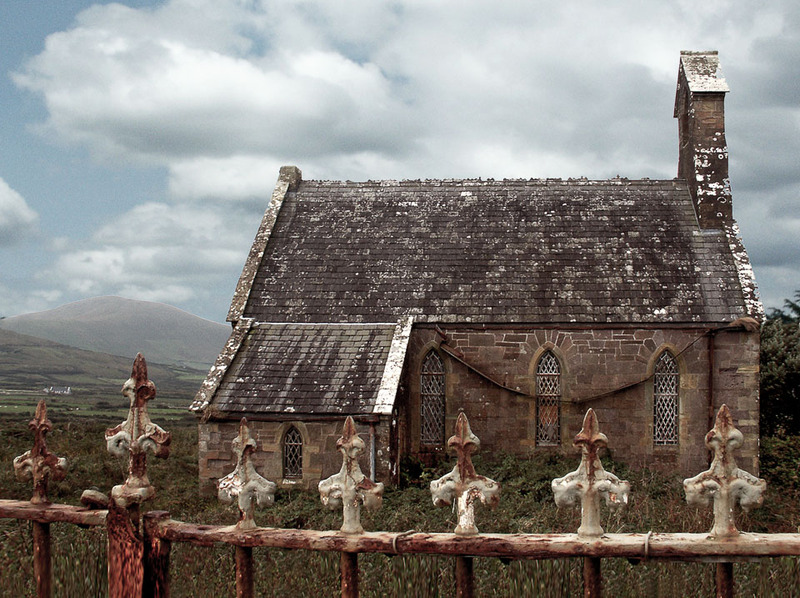 Ireland's countryside is strewn with centuries old churches such as this which are still in use. 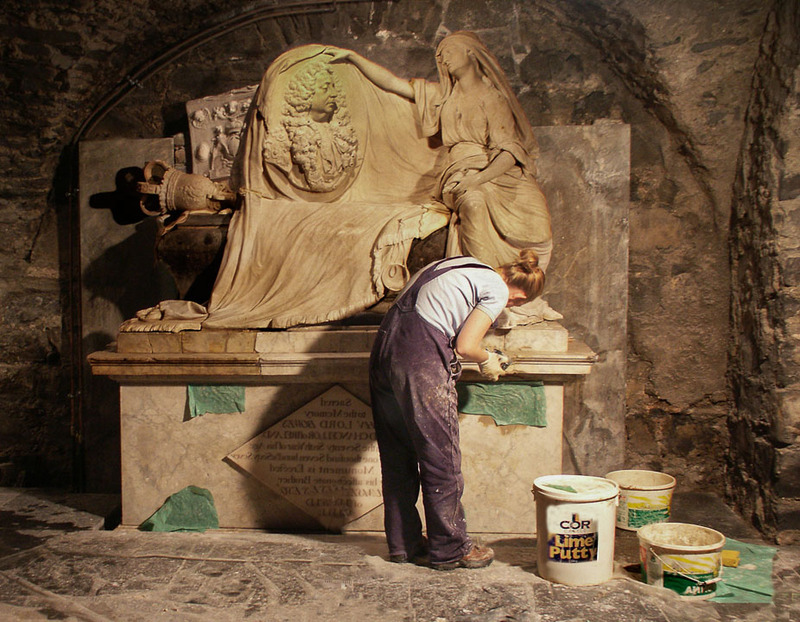 She works to restore to it's past glory a sculpture at Dublin's Christ Church Cathedral. 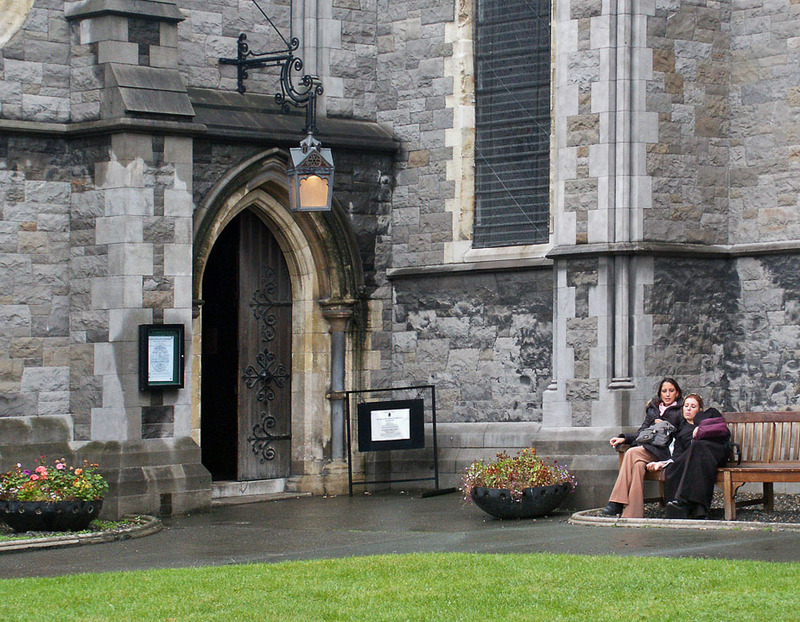 Two tired tourists take a break outside Dublin's Christ Church Cathedral. 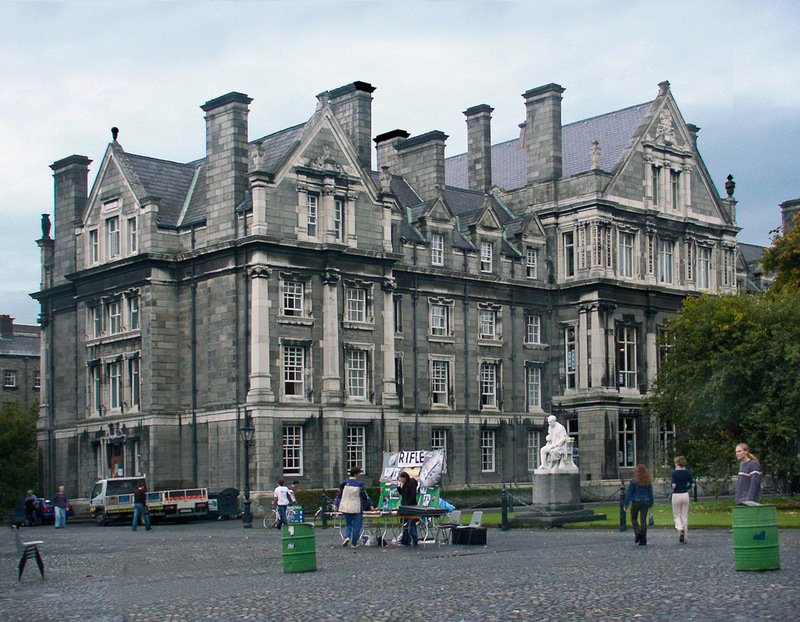 Dublin's Trinity College is also the home of Ireland's treasured Book of Kells. 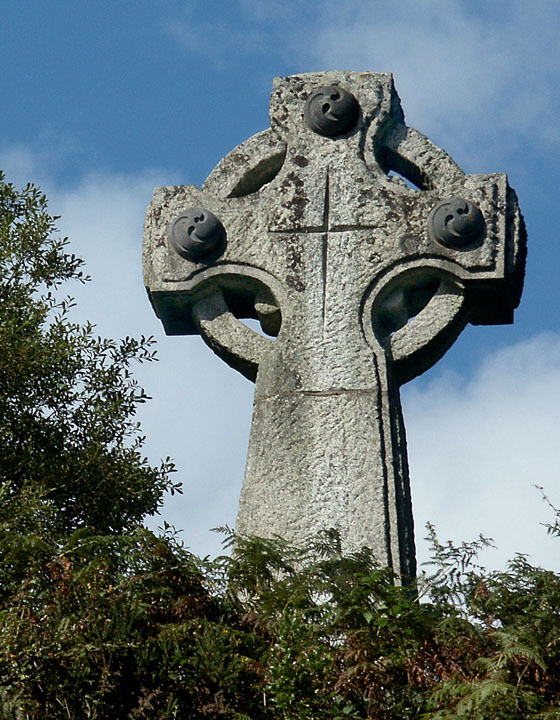 In Ireland, it's said that the cross was introduced by St. Patrick when he was converting pagan Irish in the 5th century. 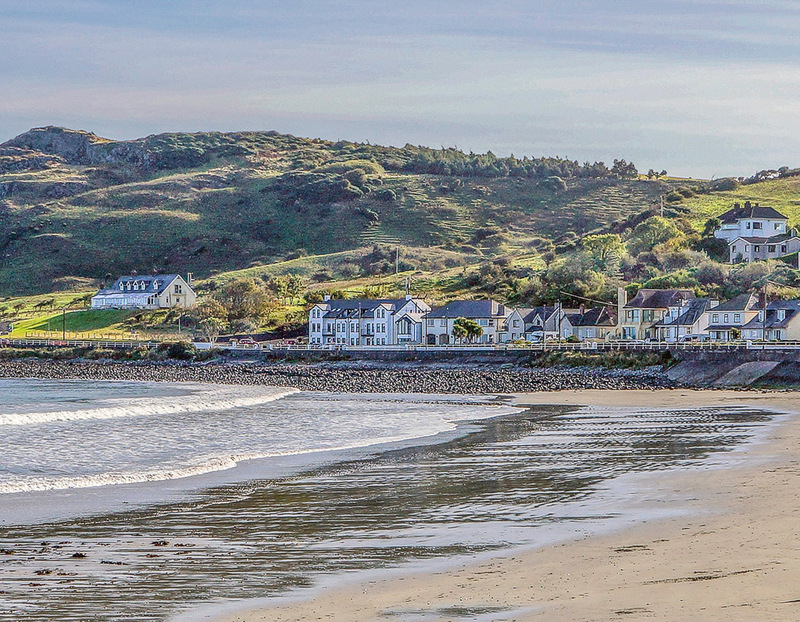 The Castlegregory coast is a favorite for the world's windsurfing afficionados. 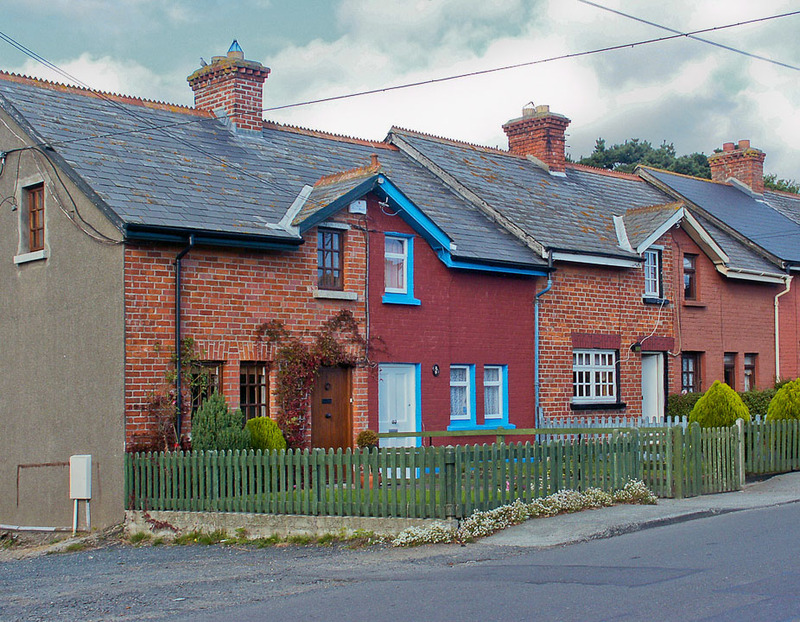 Attached houses with a backyard and common back alleys with garages are typical of middle class housing in Ireland. 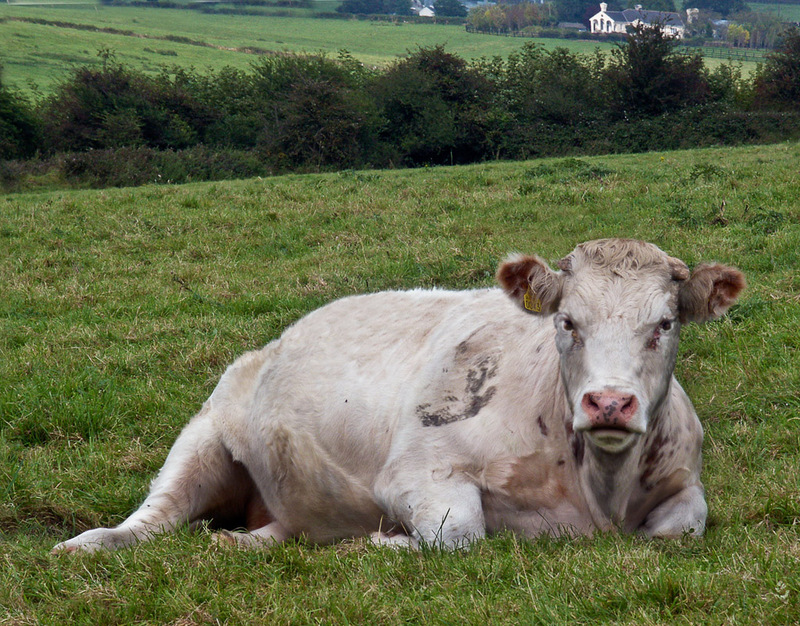 This cow resting in the hills near Castlegregory watched every move I made. 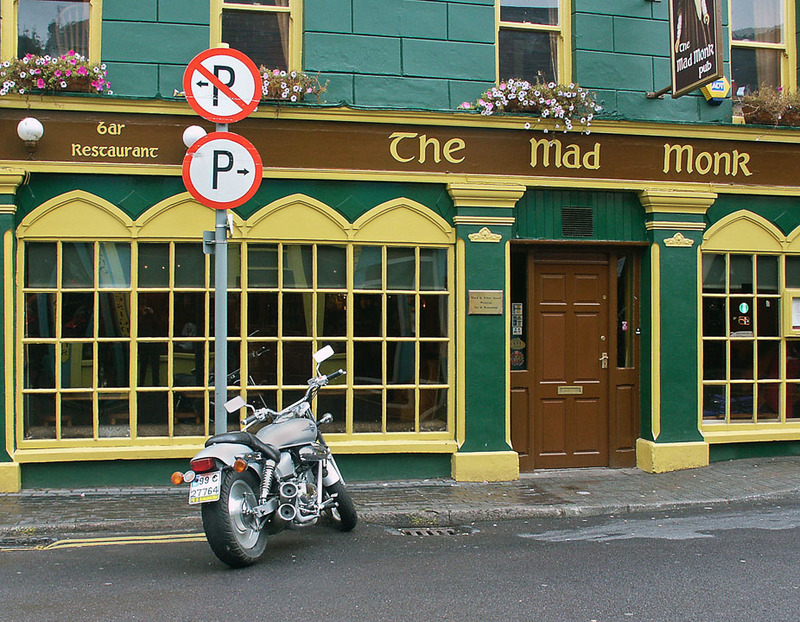 A public house aka "pub" is a drinking establishment fundamental to Irish culture and often is the focal point of the community. 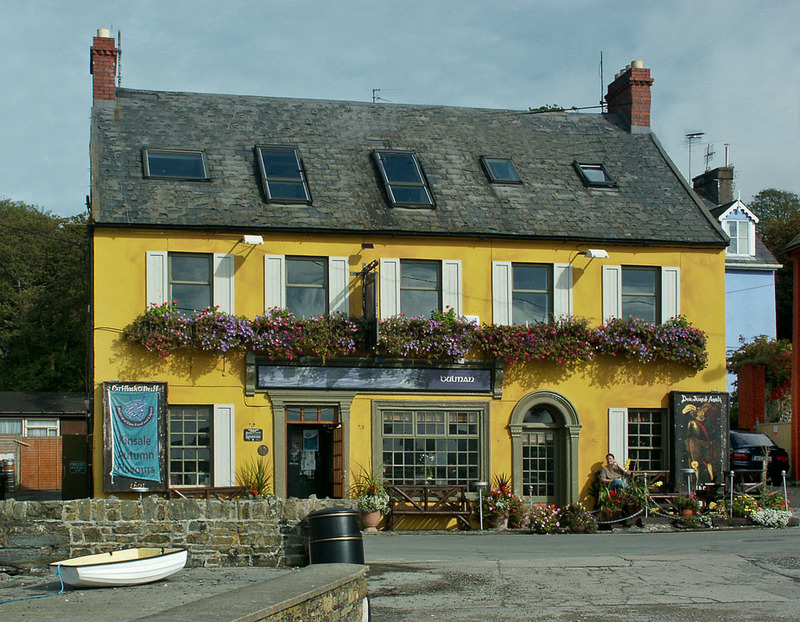 A popular pub and restaurant that sits along the Kinsale waterfront. 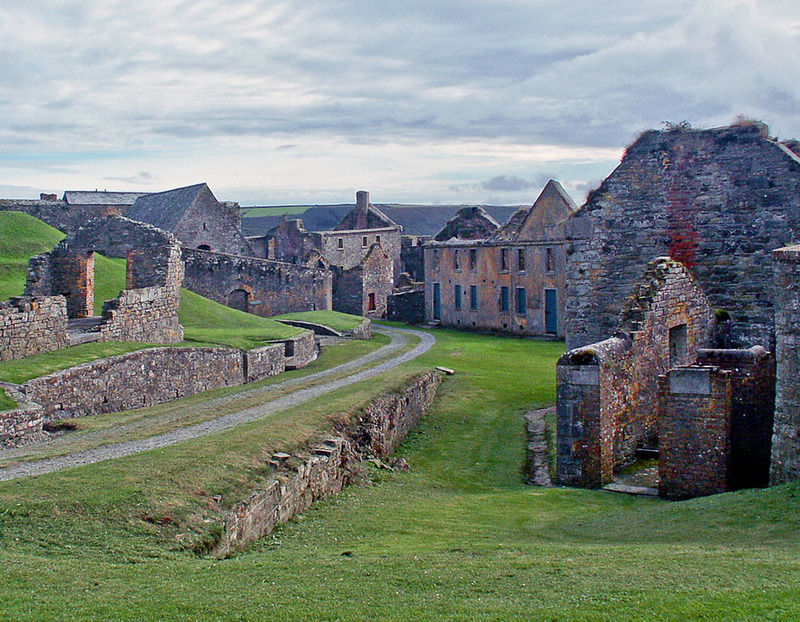 Built in 1678 and was in use housing men and supplies until 1922. 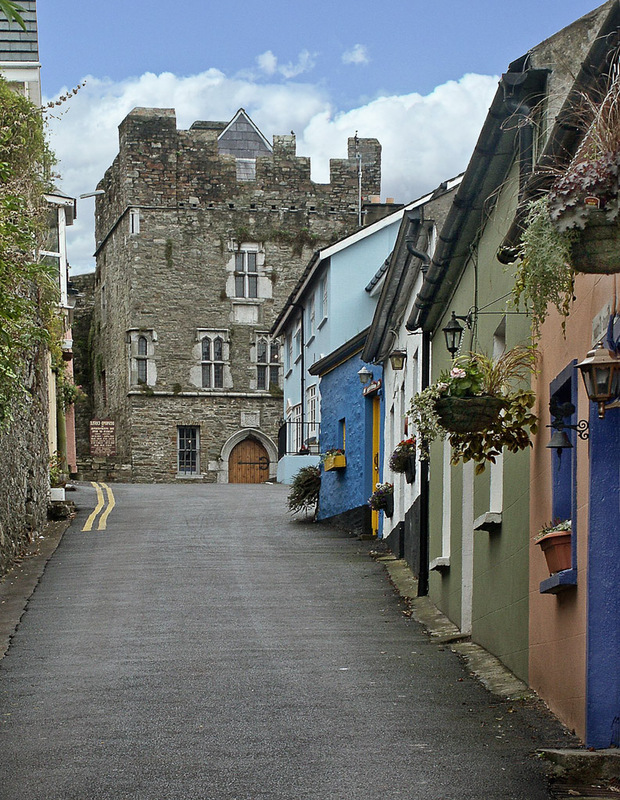 A 17th century star shaped fort on the outskirts of Kinsale. 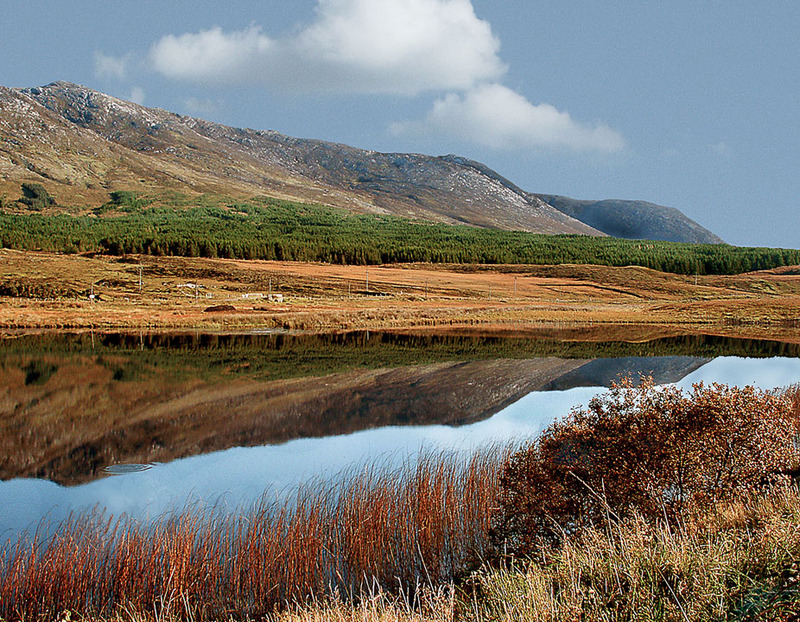 This unspoiled area has attracted travelers for hundreds of years. 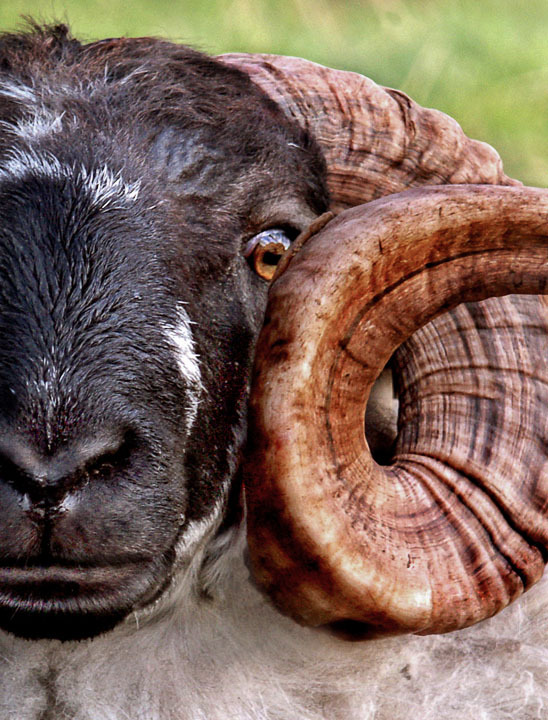 We went eye to eye and he never ever blinked but I certainly did. 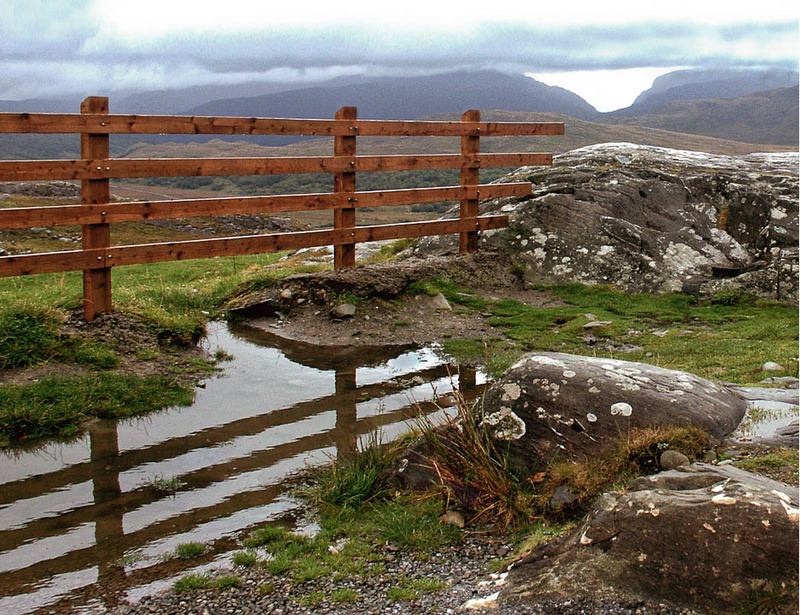 An unusual road sign shows the way to Connor Pass across the rugged peninsula. 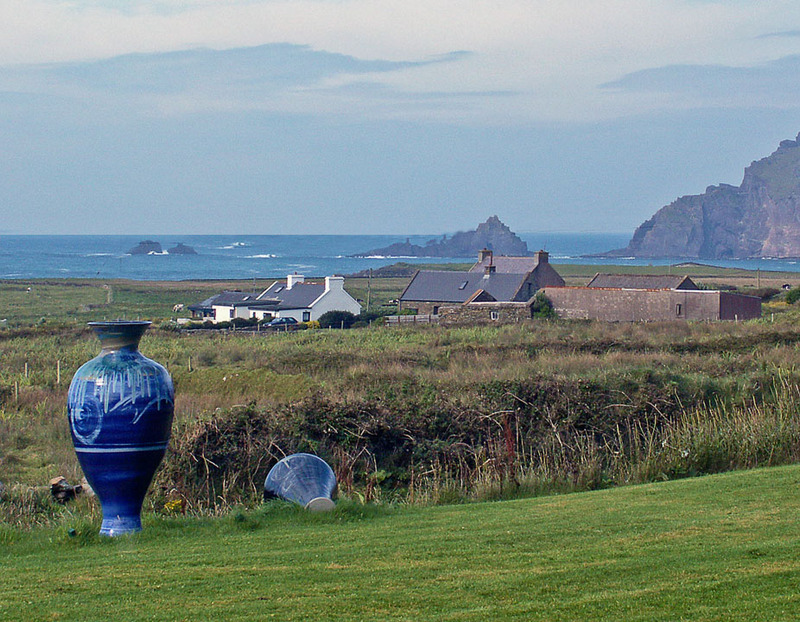 We found the Irish countryside is home to many creative and skilled potters. 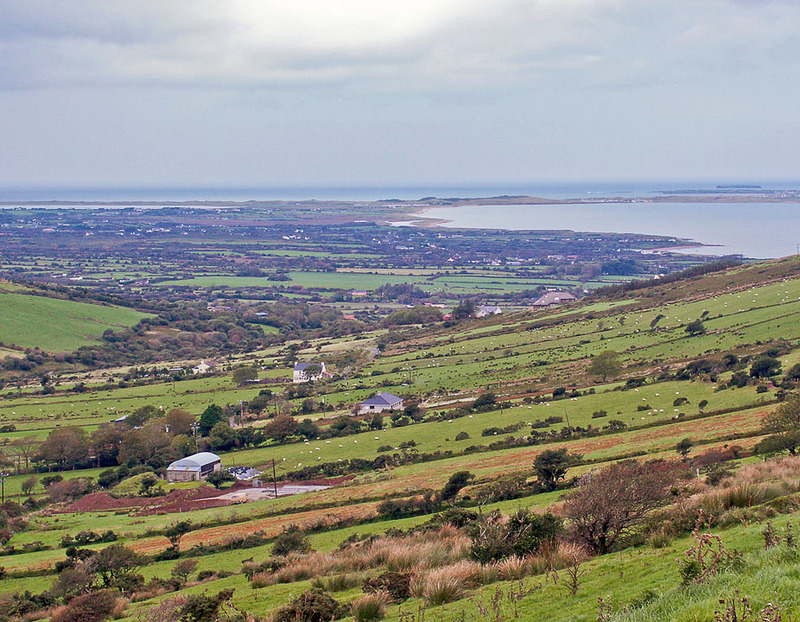 A view of the countryside as we descend from the heights of Connor Pass. 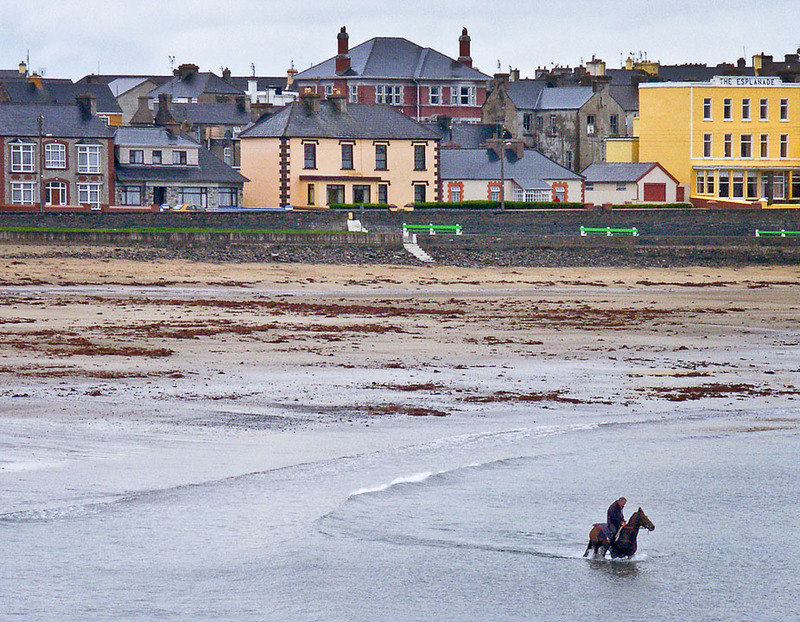 It is not unusual to see horses and their riders in the water along the Irish coastline. 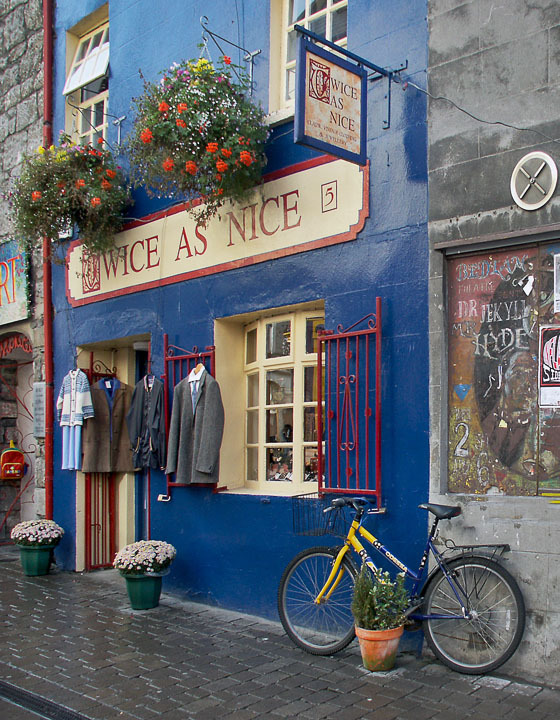 Hoping for a 2nd time around for used clothing at a shop in Galway. 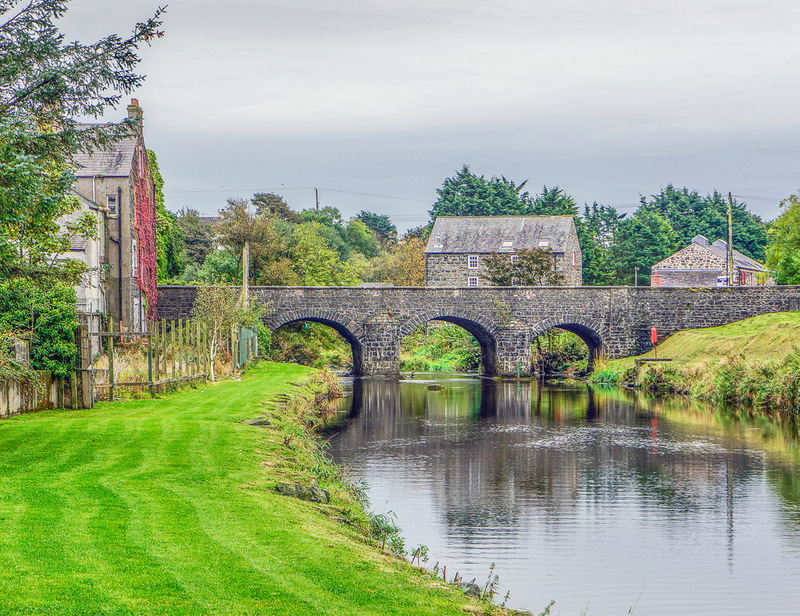 The River Comb meanders through four bridges on it's path through Galway. 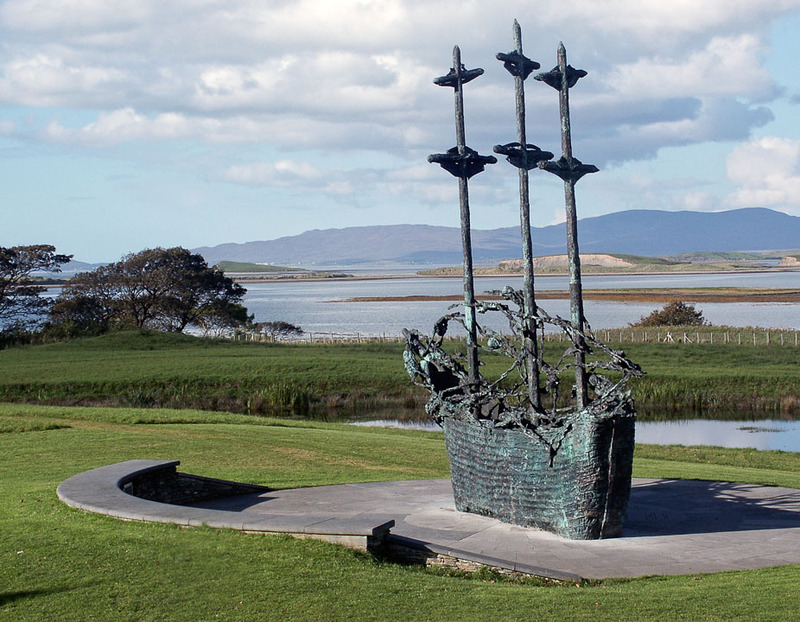 A reminder of those who died trying to escape the great 1880's famine. 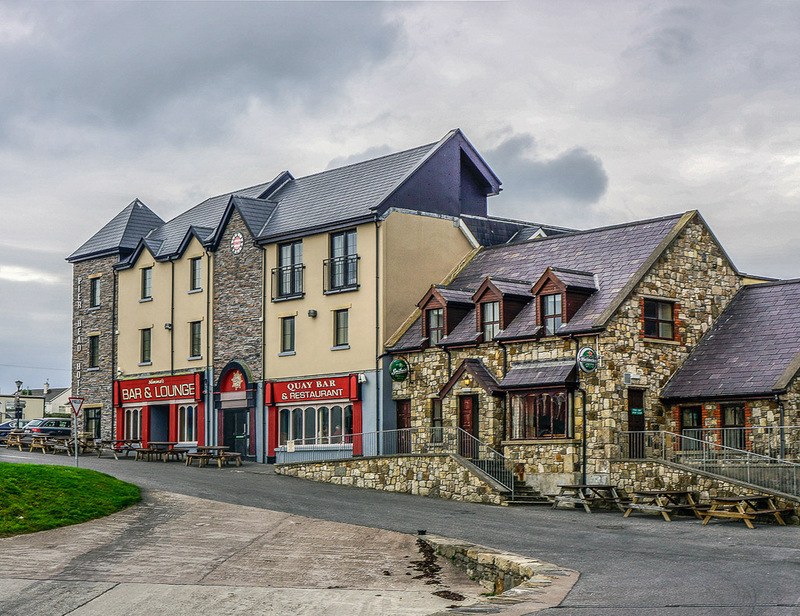 The roads were built by forced peasant labor during the great famine. 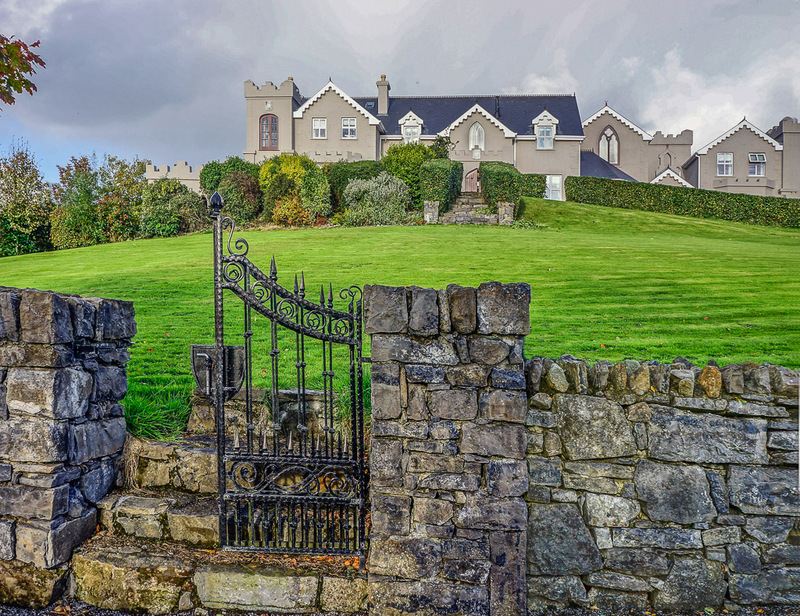 The castle was built in 1228 by the House of Burke and has a long history leading to it's present use as an exclusive luxury hotel. 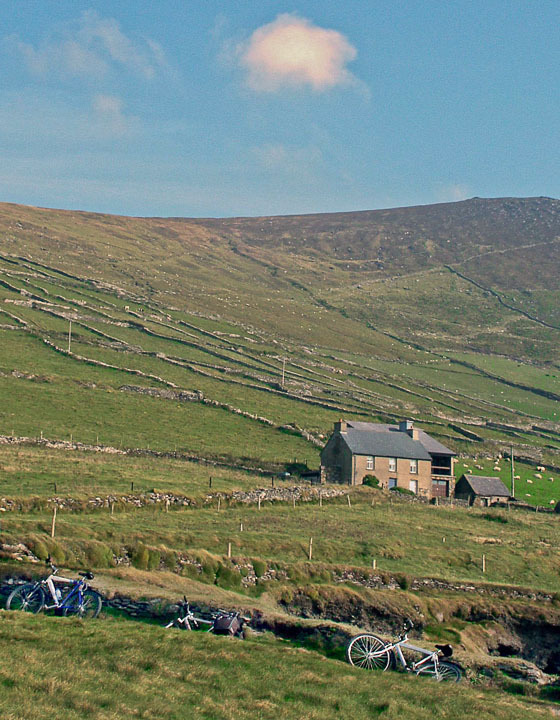 A home nestled on the hillside in a place where the cycling looks very challenging. 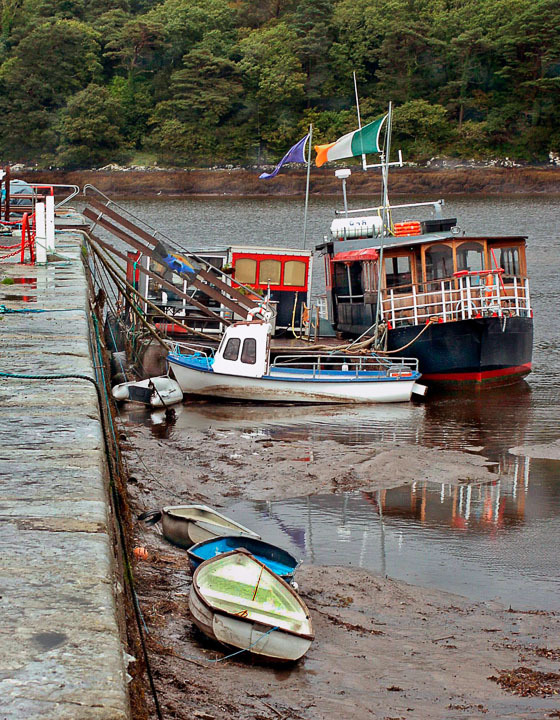 These boats must wait for the next high tide to get back in the water. 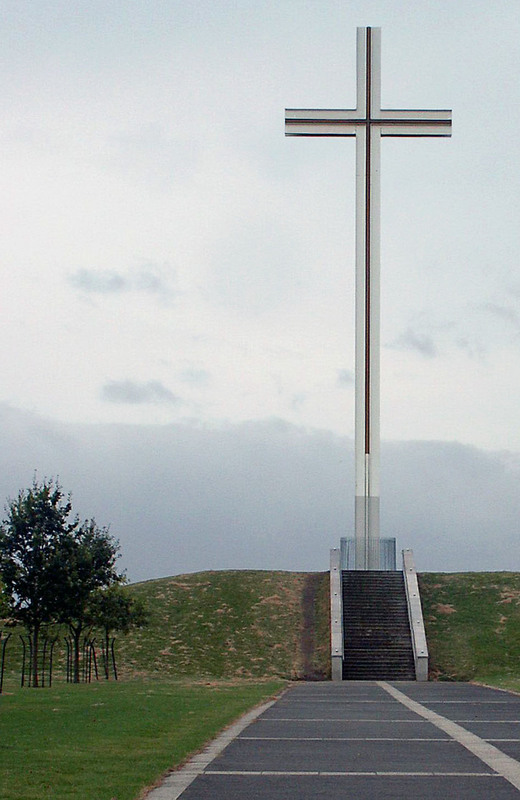 The cross in Phoenix Park, Dublin commemorates the 1979 visit of Pope John Paul II to Ireland. 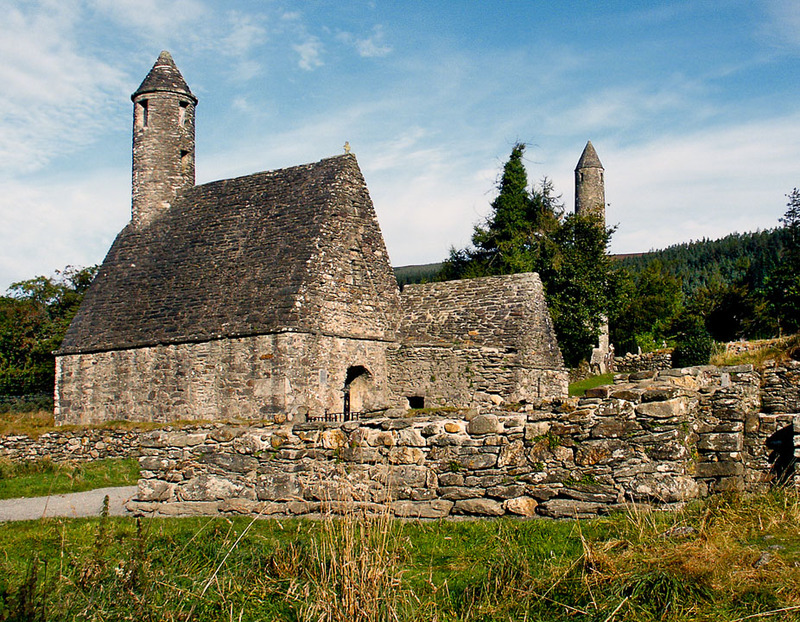 The 6th century church is the only surviving roofed structure at the monastic site of Glendalough. 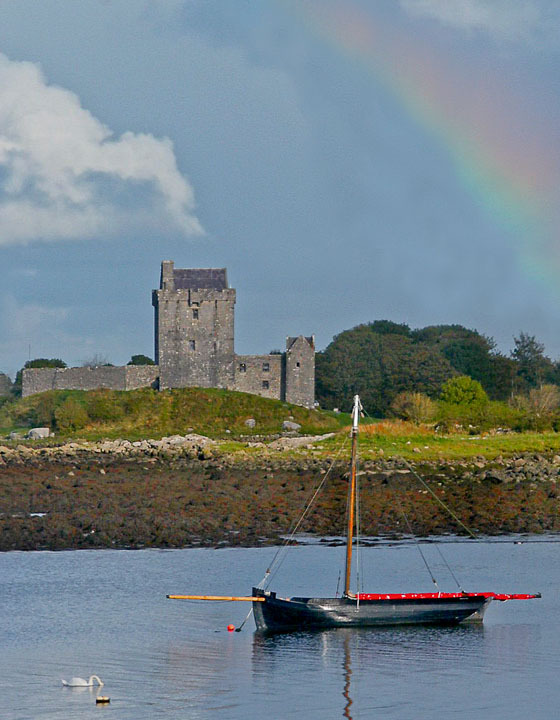 Many colorful rainbows make an appearance after the plentiful Irish rains. 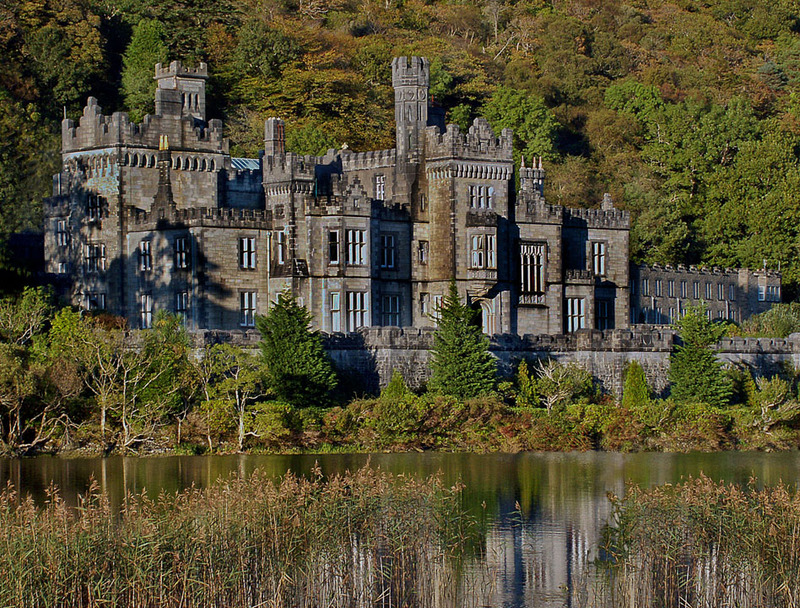 It's name was changed to Queenstown to honor Queen Victoria's visit In 1849. 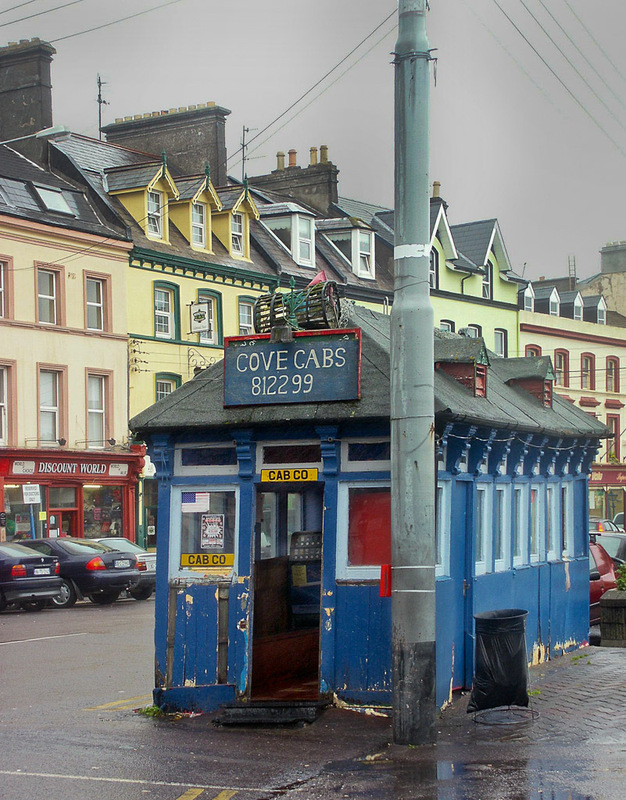 In 1838, the Sirius was the 1st steam ship to cross the Atlantic from Cove. 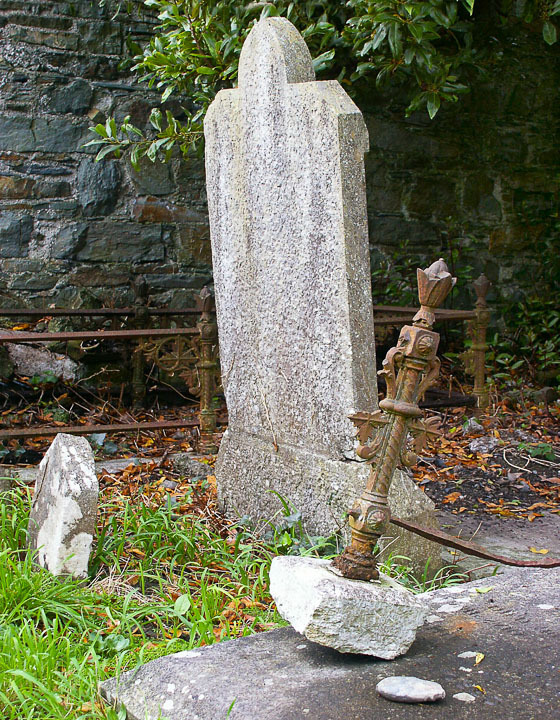 Many Americans will find the gravesites of their ancestors when visiting Ireland's cemetaries. 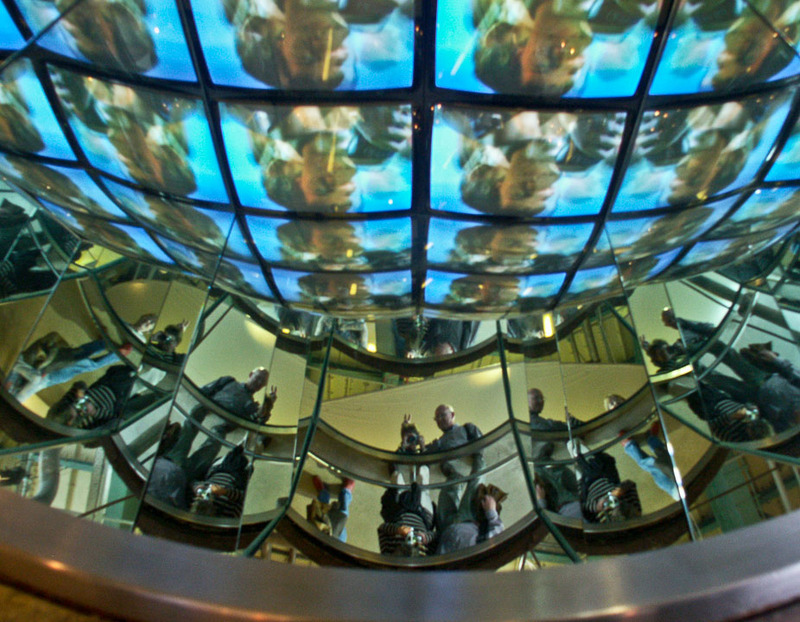 The Guiness flows freely and cold in their Dublin factory. 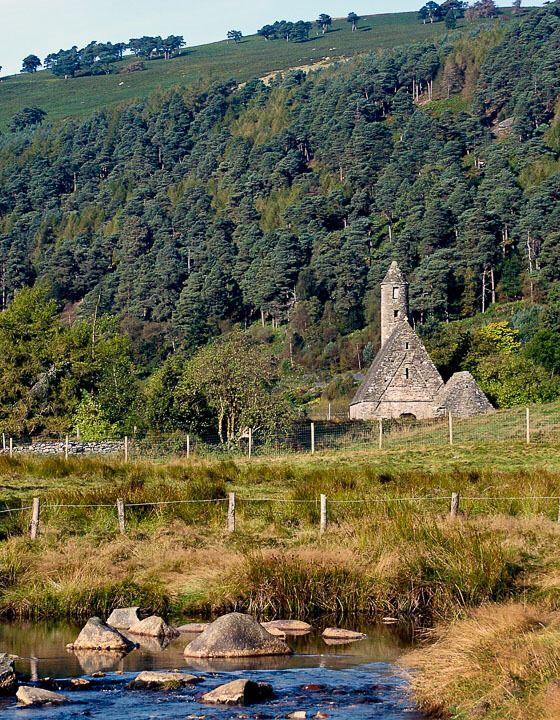 Another name and another view of the church at the monastary in Glendalough. 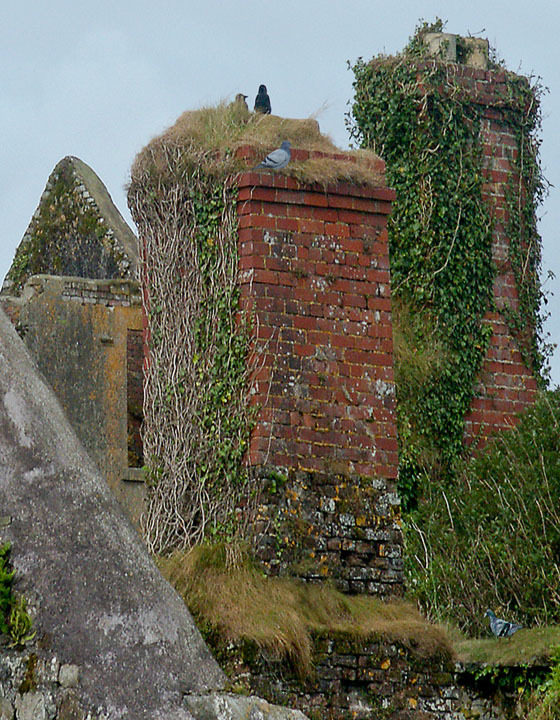 Many of the old ruins such as this one made us curious to know more about their past history. 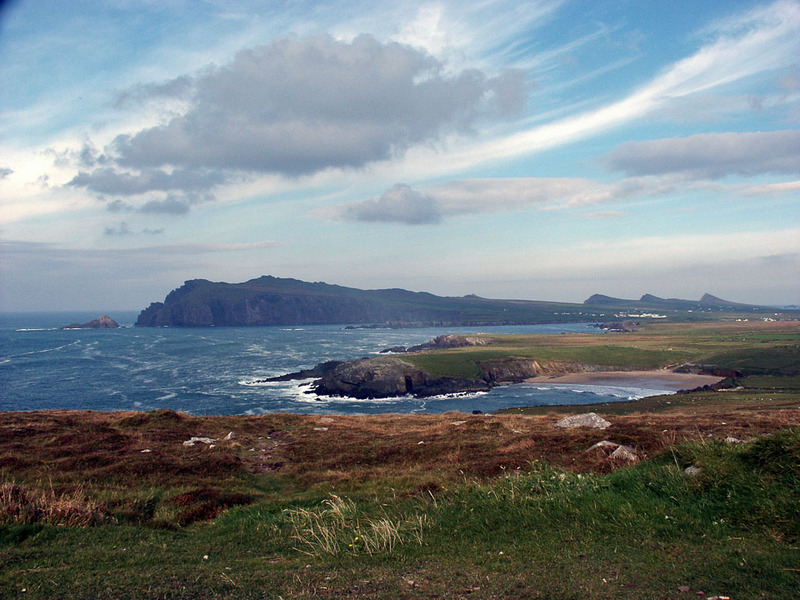 The rugged coast of Ireland is beautiful to behold. 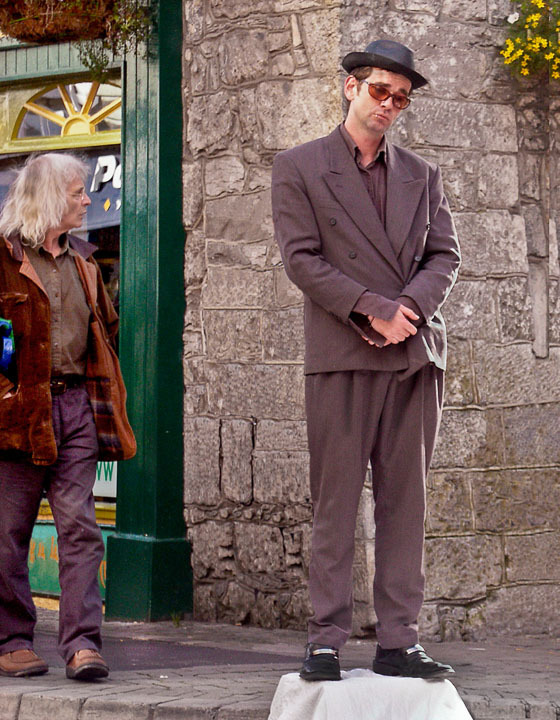 Galway on Sunday has many colorful street performers although this one seems to need a nap. 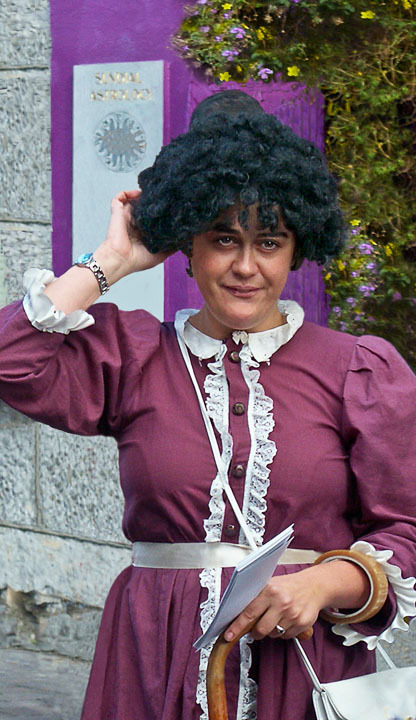 This Galway street performer assumes a persona of the late 1800's but her wrist watch gives her away. 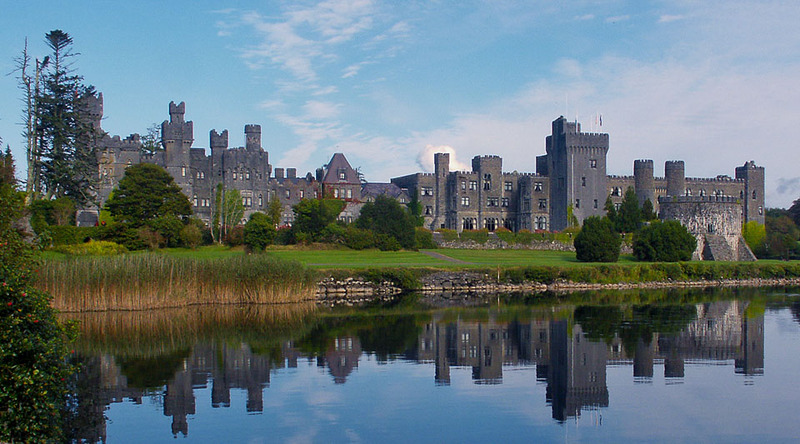 The oldest Irish Benedictine Abbey has housed nuns since since 1920. 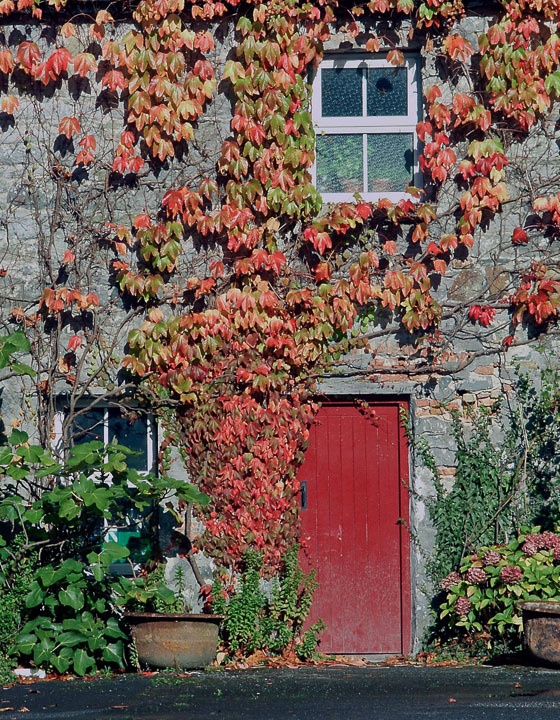 Colorful foliage on this home reminds us that it is October in spite of all the greeness of Ireland.